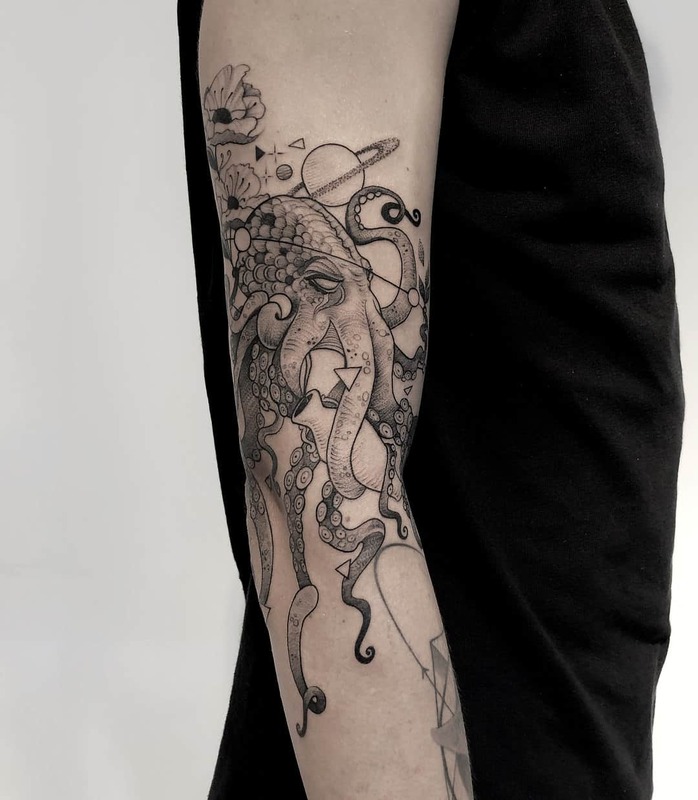 The octopus tattoo is one of the most famous tattoos of recent times. 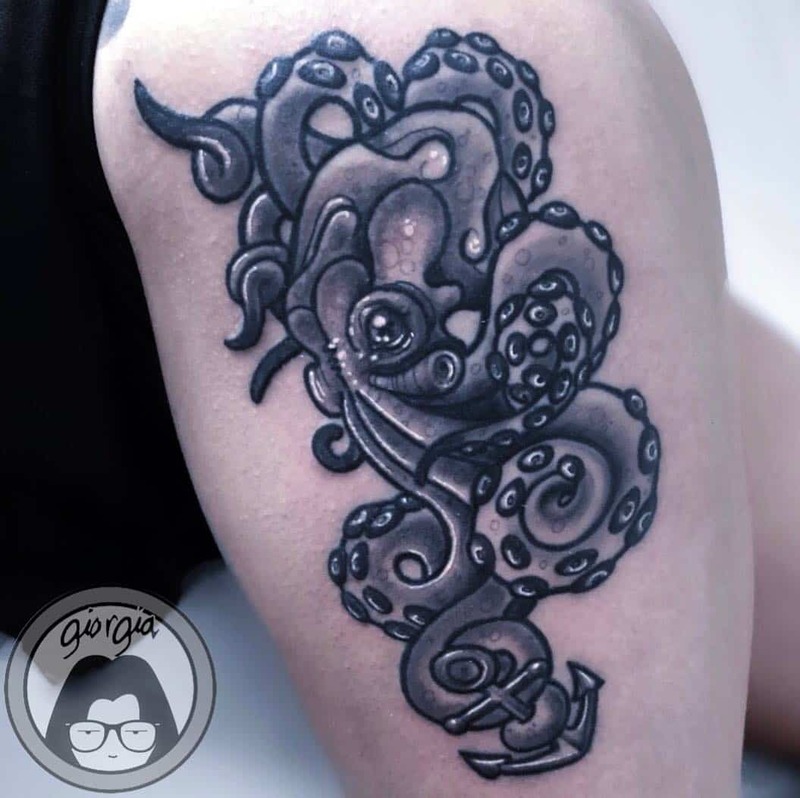 With its mighty imagery as well as symbolic meaning, many people prefer this tattoo. 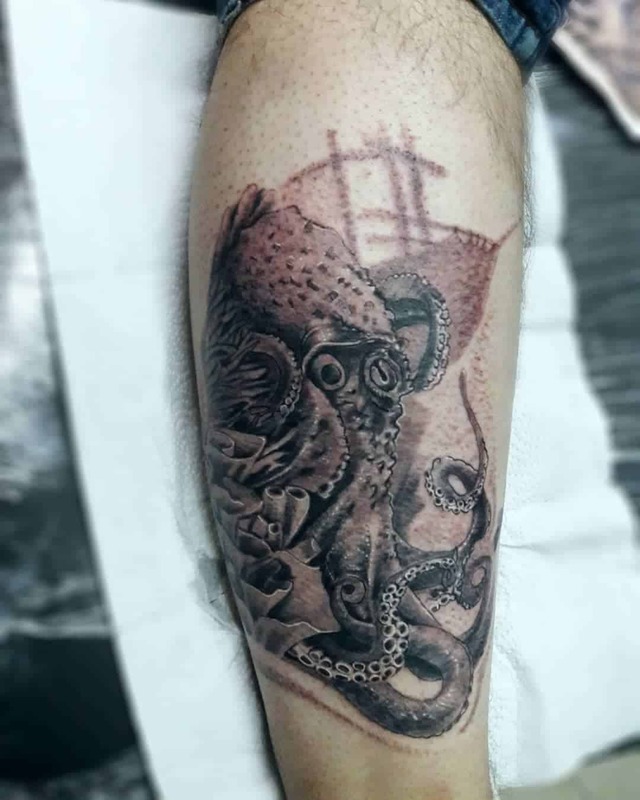 Moreover, the tattoo gives great flexibility to the artist, making the design a favorite among the studios and independent artists alike. Due to visual media such as games, movies, and cartoons, people see two sides of the animal. 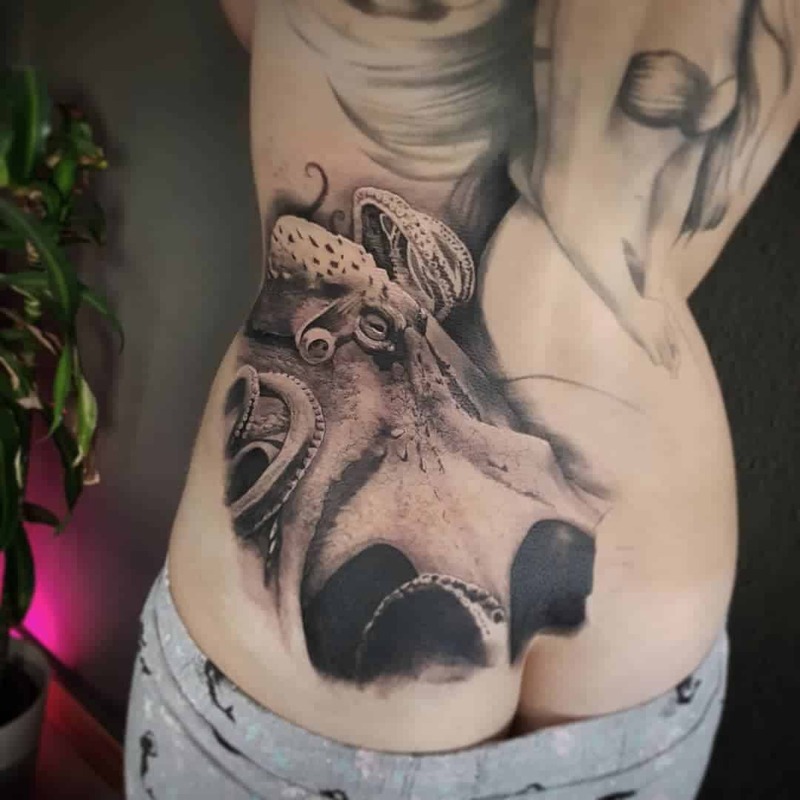 While cartoons tend to humanize the squid showing it off as cute and friendly, movies and games tend to show them as apocalyptic beasts and “World Enders”. These forms of visual media add to the already staggering popularity of the creature. 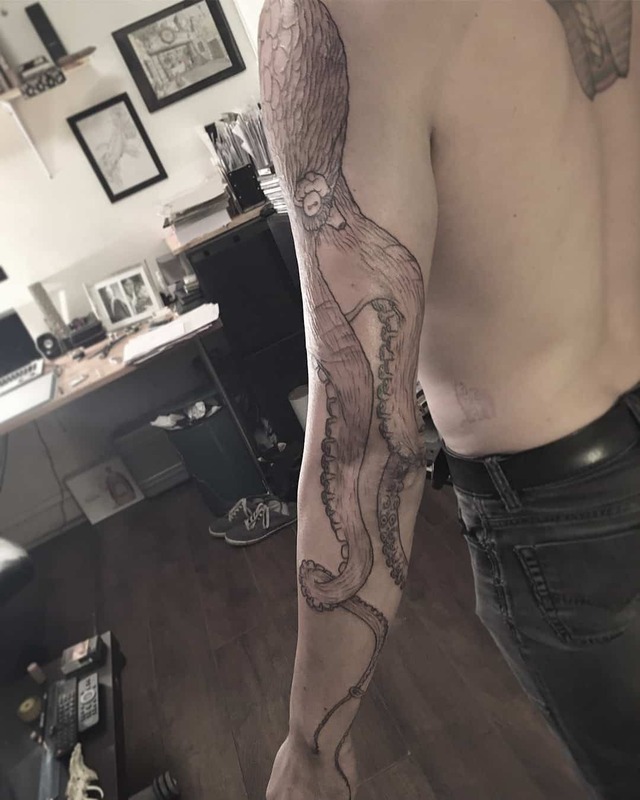 So for those of you willing to get an octopus tattoo, here is a guide that will give you all the information on what you need. 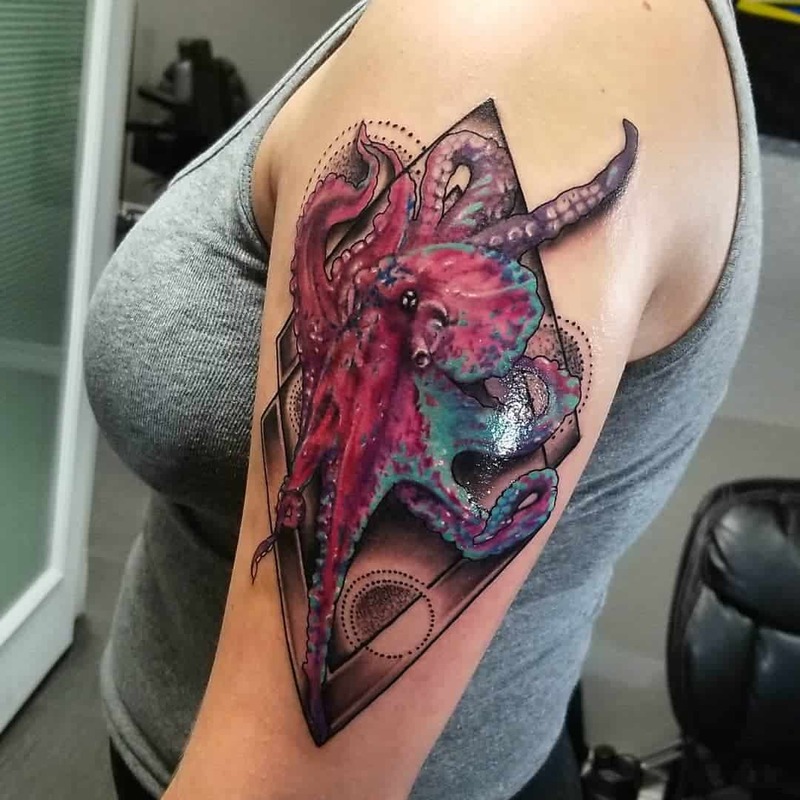 First off, you should consider what you’re getting as an octopus tattoo is a huge commitment and responsibility, so it’s not something first timers should go for. 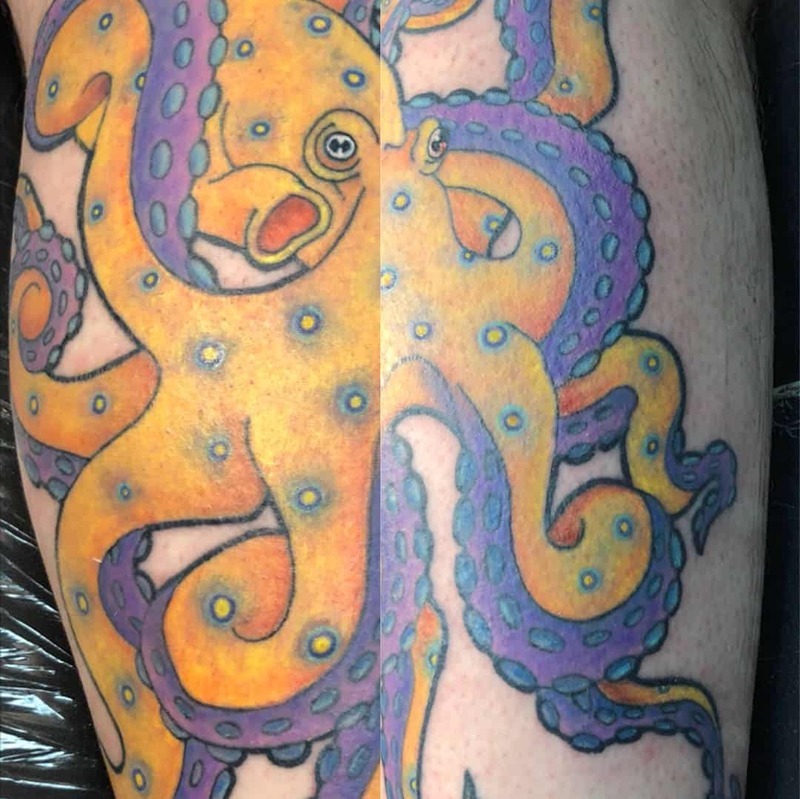 Instead, the octopus tattoo is mostly for experienced people who can handle the pain. 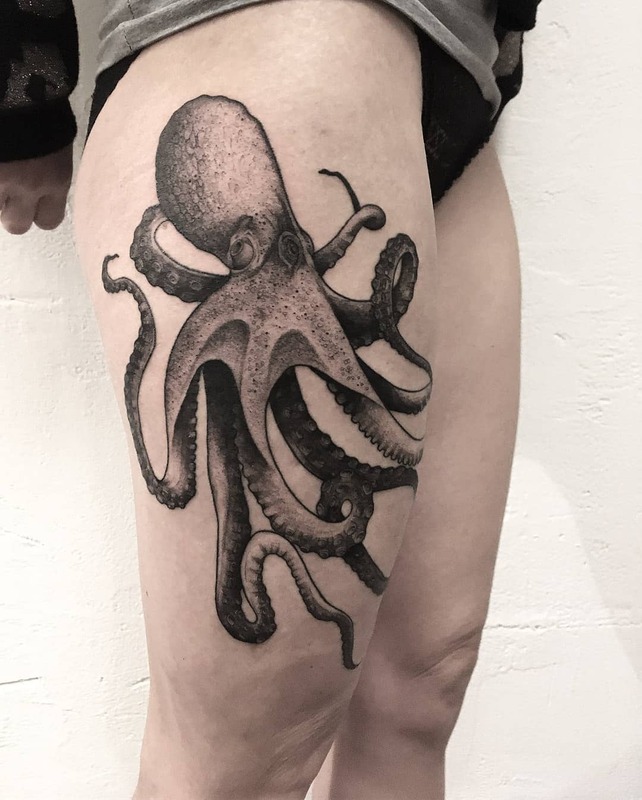 With that said, here are some of the most famous types of octopus tattoos. 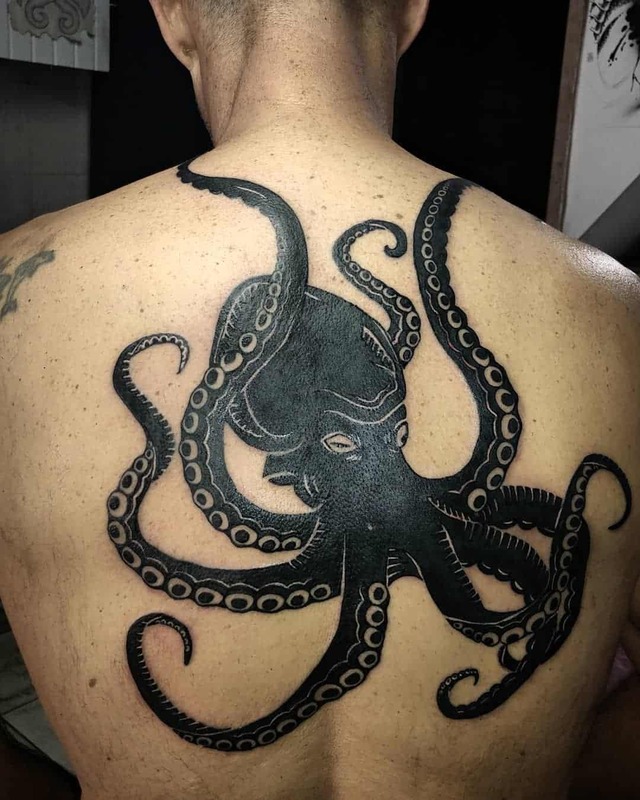 As tribal tattoos on their own are one of the most famous styles of tattoos, the combination of tribal tattoos with the octopus is a match made in heaven. 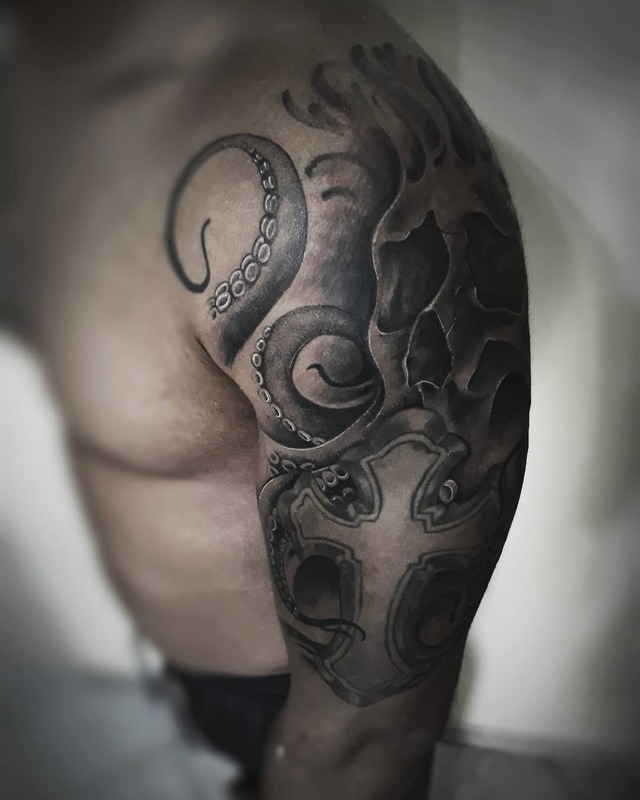 The tattoo style essentially pays homage to the rich culture and tradition of the Polynesians, with its black and textured look. 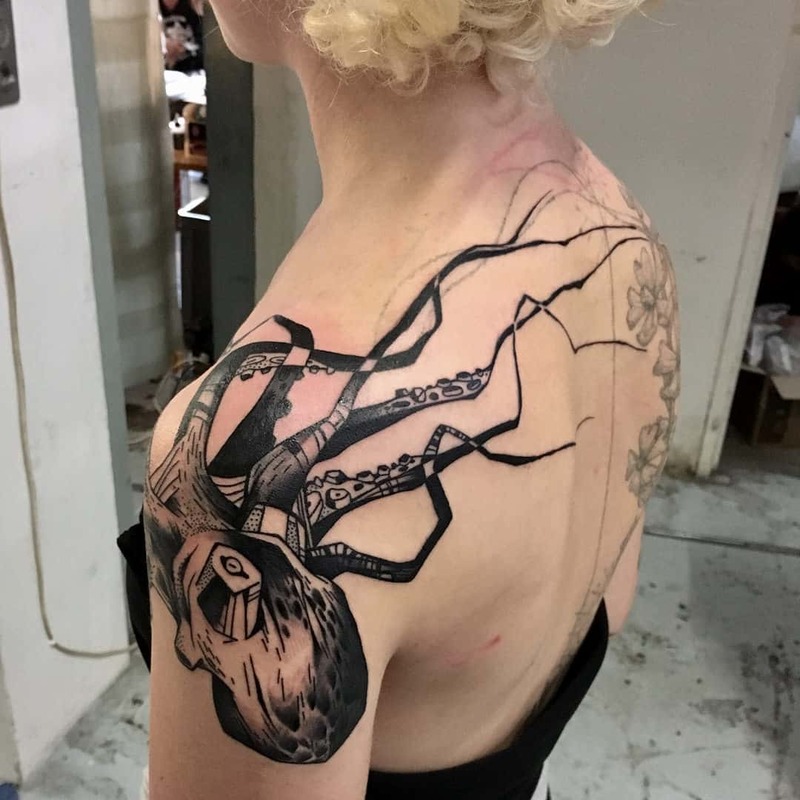 This tattoo design is unique from others, as it does not use flashy colors and backgrounds to tell a story; rather, it has a monochromic setting, usually black, with textures in and around the octopus, giving meaning to the heavily stylized tattoo. 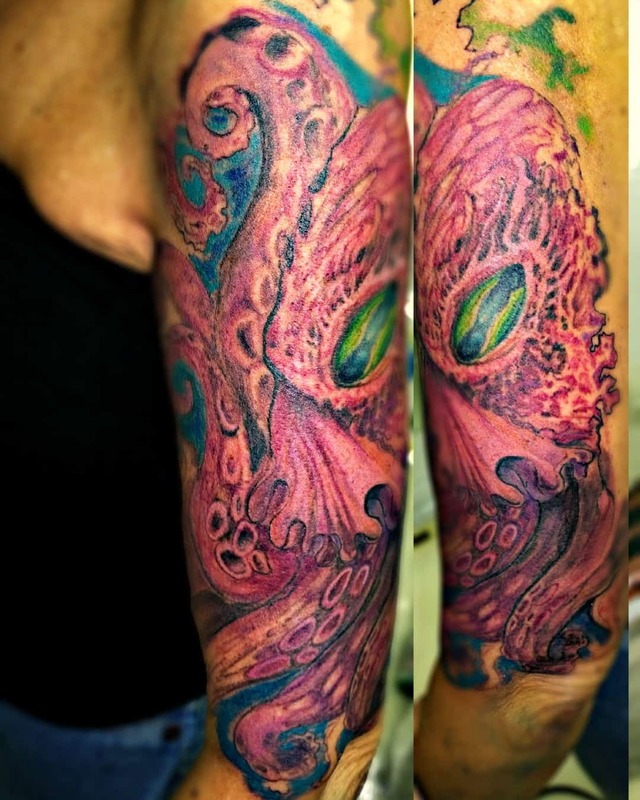 The tattoo looks beautiful with its single shade color that accompanies the complex texture of and around the octopus. 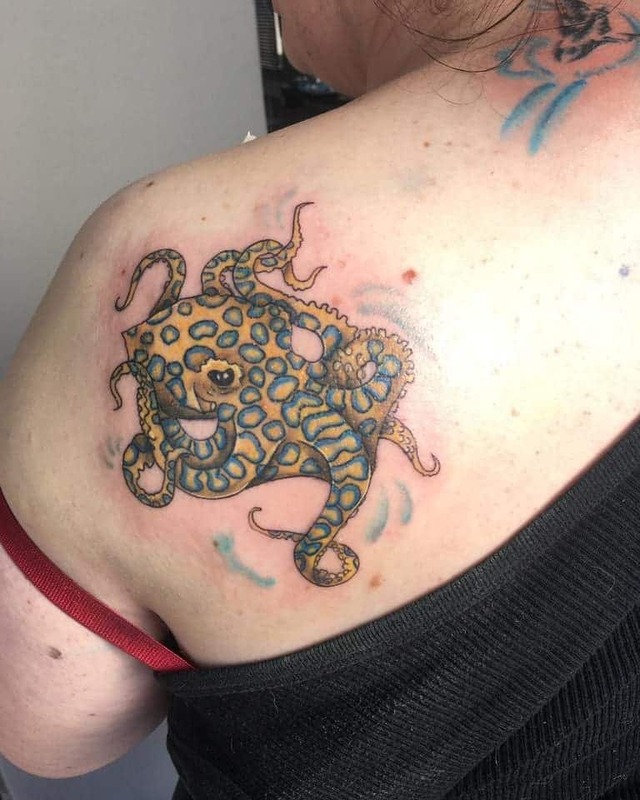 The blue-ringed octopus is one of the deadliest and most dangerous marine animals, which is why people who have an aggressive nature tend to sport this tattoo. A sting from the blue ring octopus is so deadly that it can also kill a human adult, which says a lot about the person wearing it. 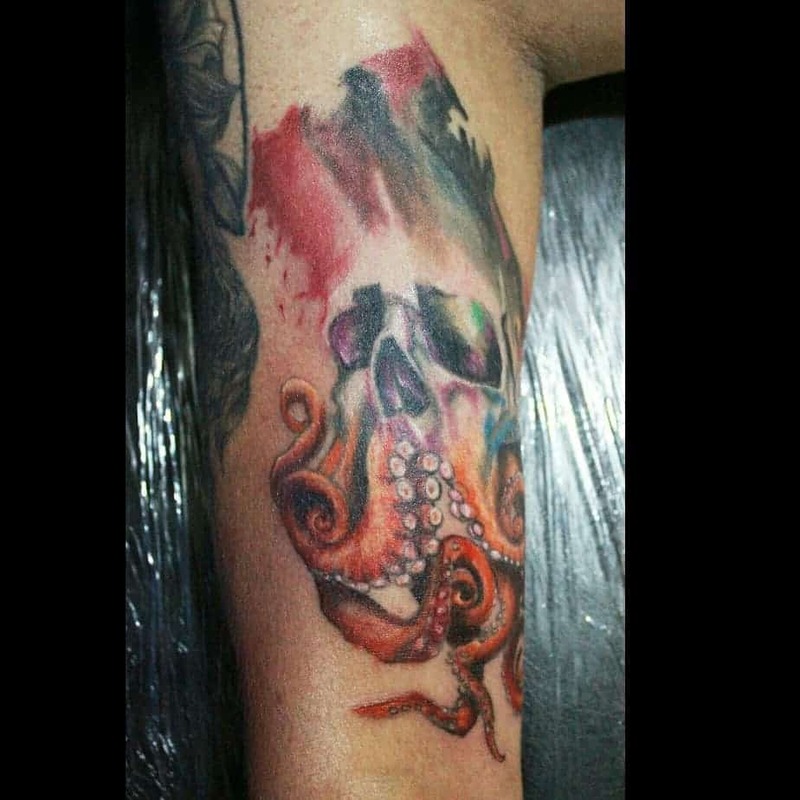 The tattoo design heavily relies on vivid color, regardless of your background or the general size of the tattoo. Artists often use a blend of pigment along with watercolors to give it a rich look. 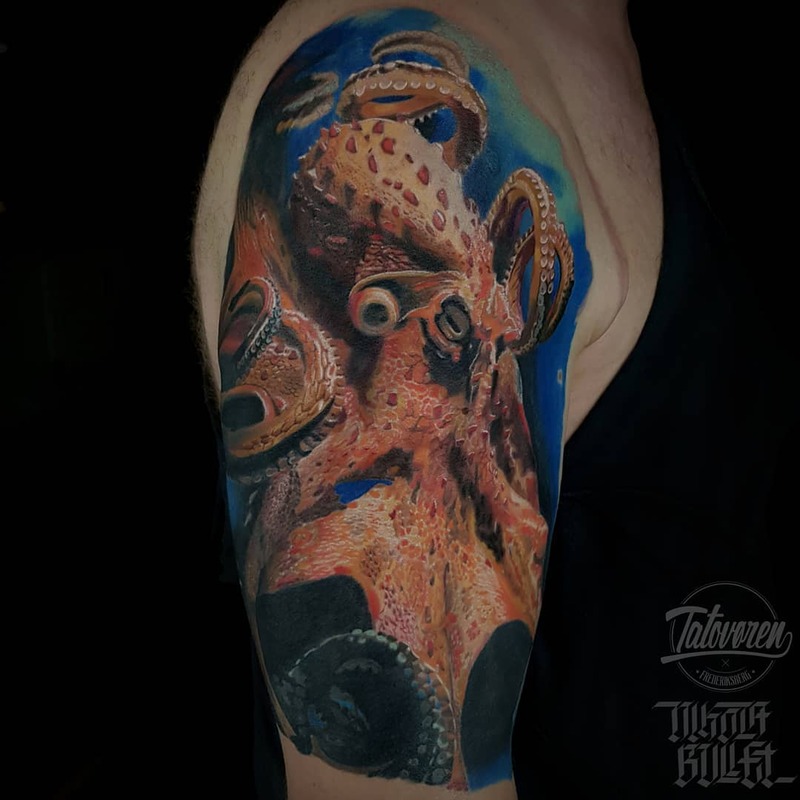 Since visual media has an impact on virtually everything, it’s no surprise people took for tattoos to show off their skill. 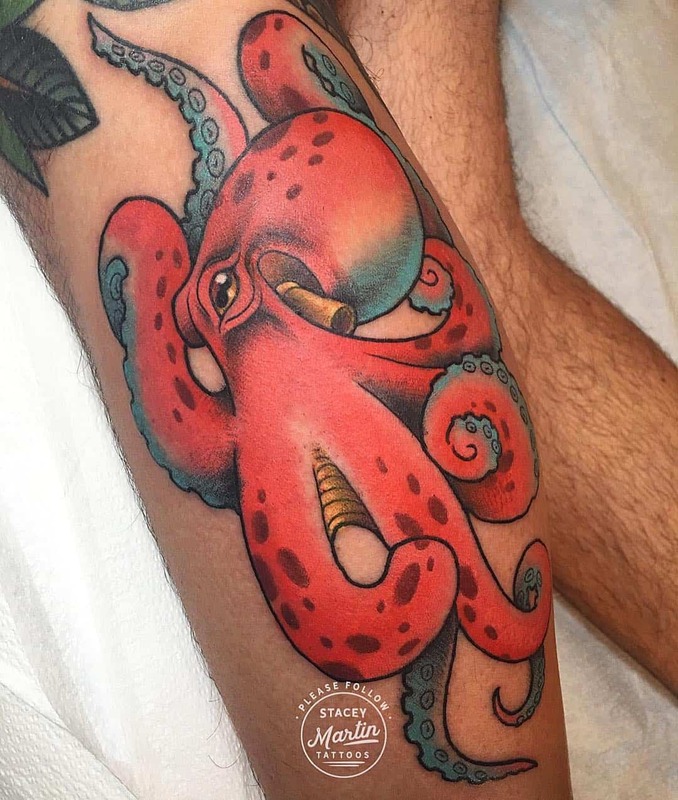 The cartoon octopus is a varied and different approach to standard octopus tattoos. 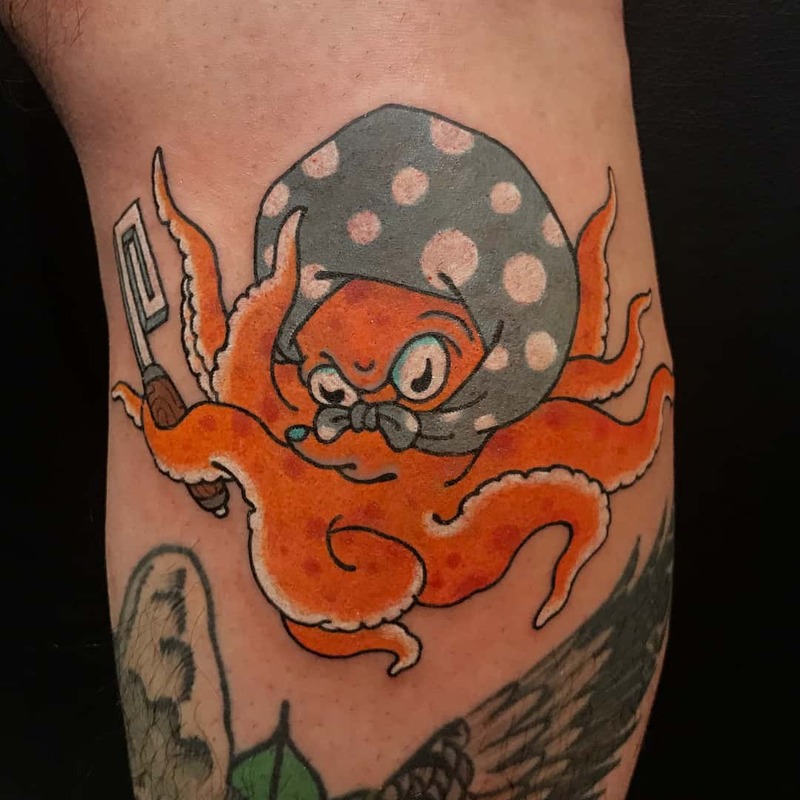 A cartoon octopus tattoo can be one of two types, cute or deadly. As some people will prefer to show the sheer power and ferocity of the animal whereas others would like to show the cuter more lovable side of the creature. 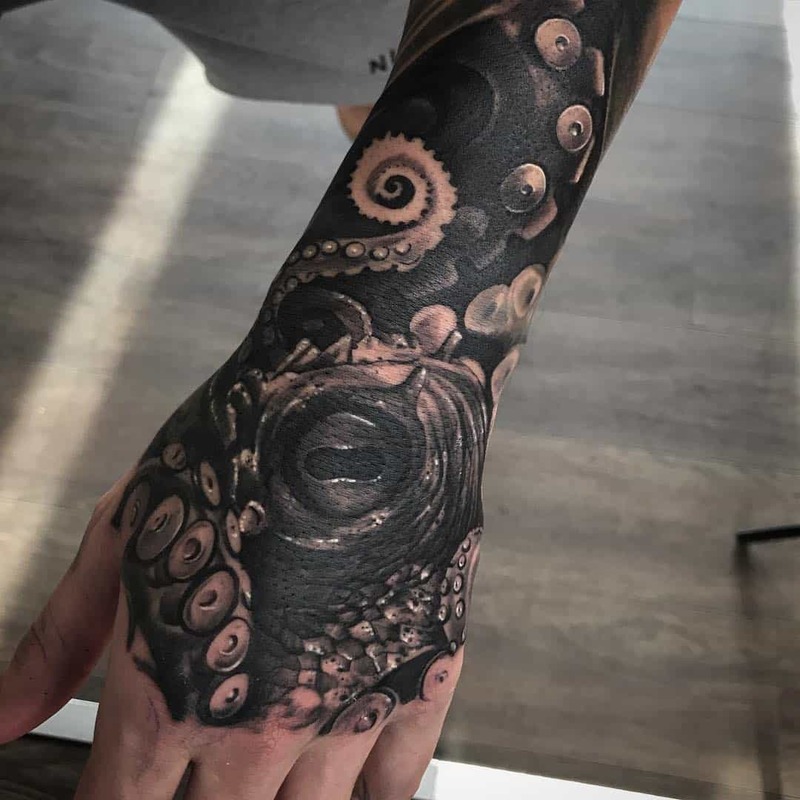 With multiple incarnations of an octopus in nearly every form of media, this is the most creative style of all the others, as artists have no boundaries they can let their imagination loose. 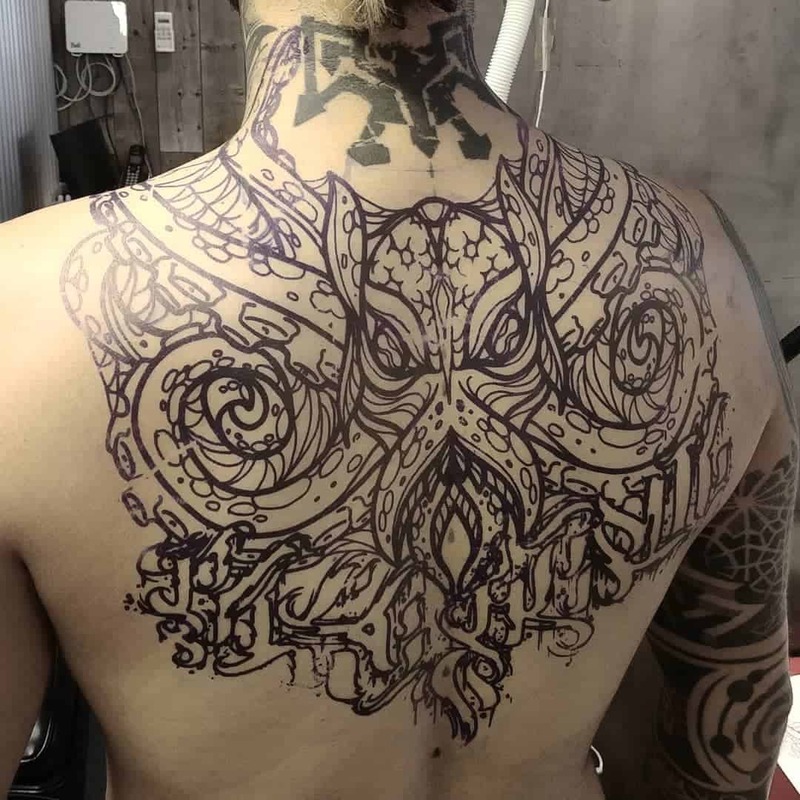 The Japanese traditional style tattoo is a mix of all the styles that make octopus tattoos good, think of it as a jack-of-all-trades for octopus tattoos. 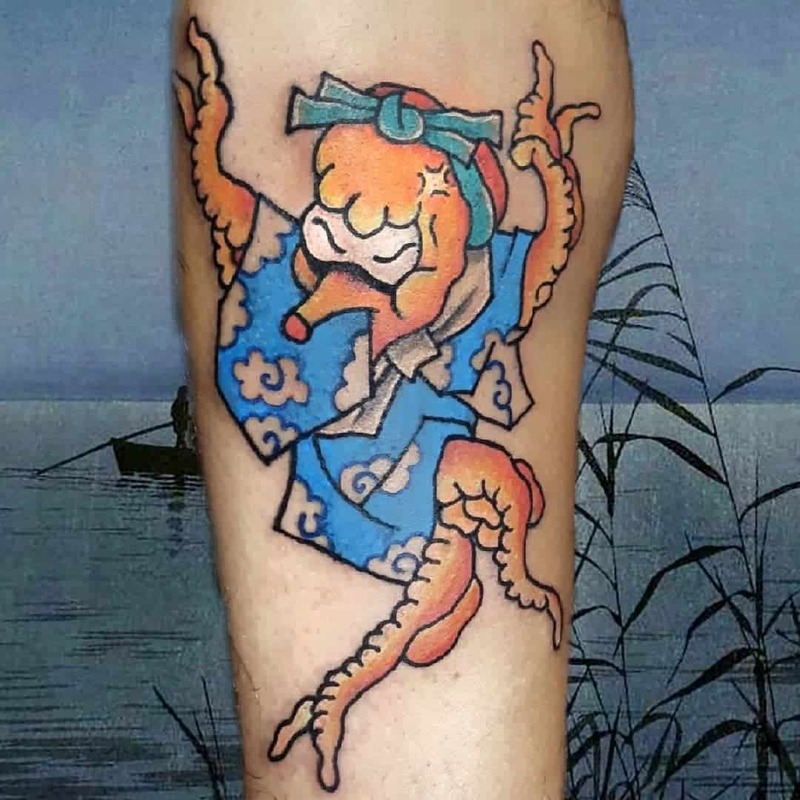 Not only does this tattoo hold elements from all other styles of tattoos, but it also carries symbolic meaning from Japanese lore. 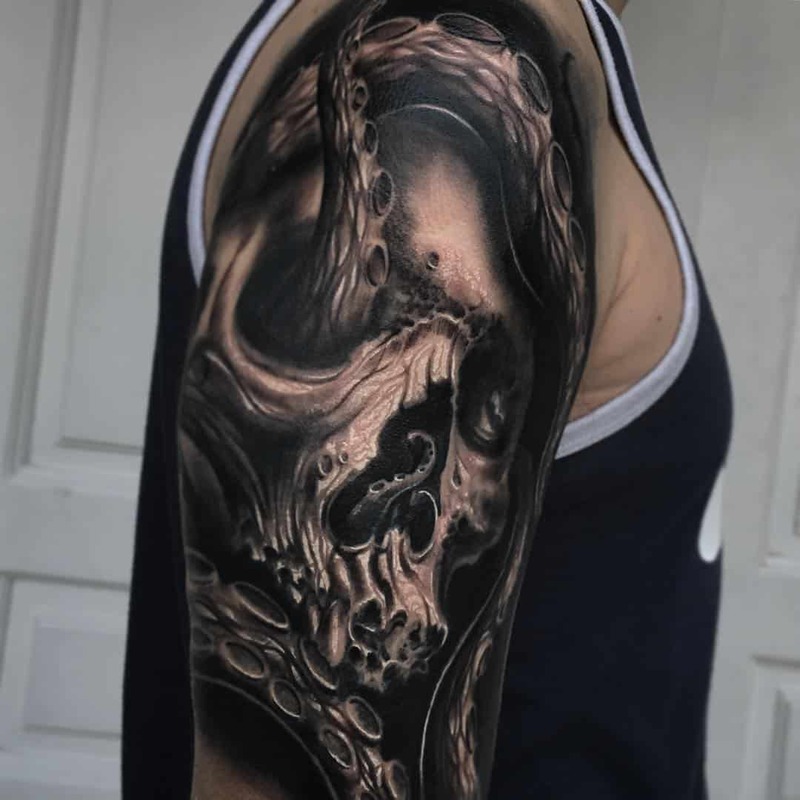 This gives the tattoo a mix of realism as well as mysticism, making it a favorite amongst artists as they can add mystical elements to an otherwise realistic setting. While traditional style may be a mix of different designs, what sets it apart is the color combination. 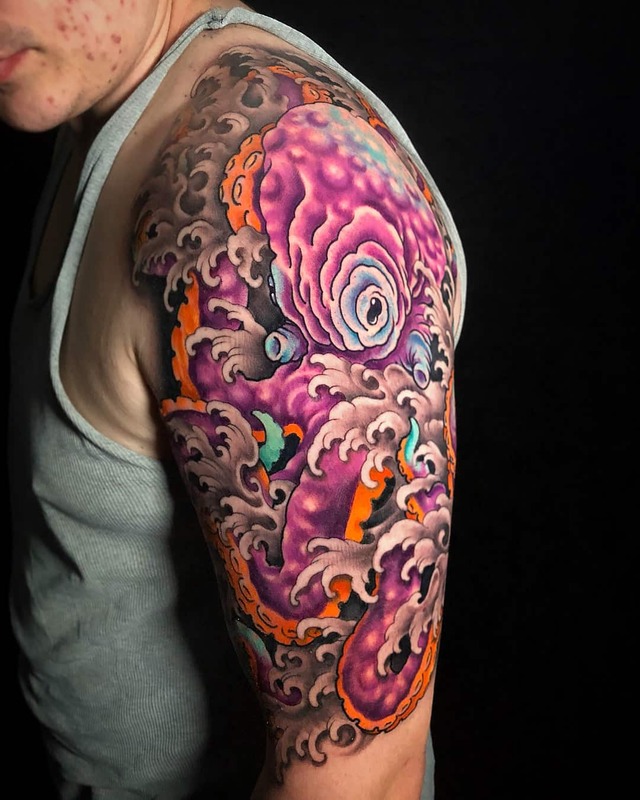 Japanese traditional tattoos often use purple and blue, giving most of the artist’s work a very cinematic look. 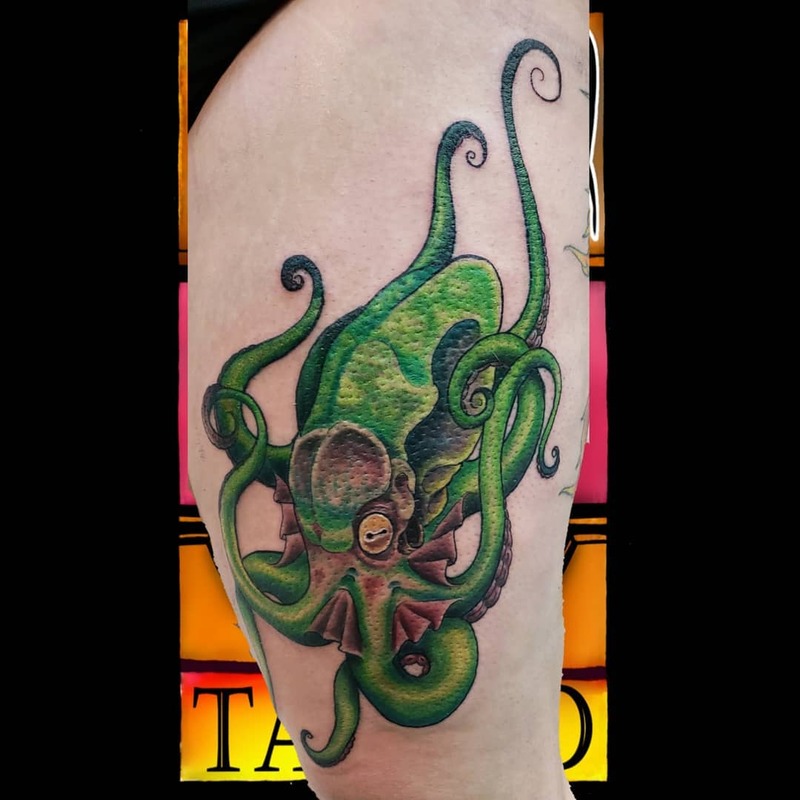 When all else fails and you still can’t find the perfect octopus tattoo, you can always turn to realistic tattoos. 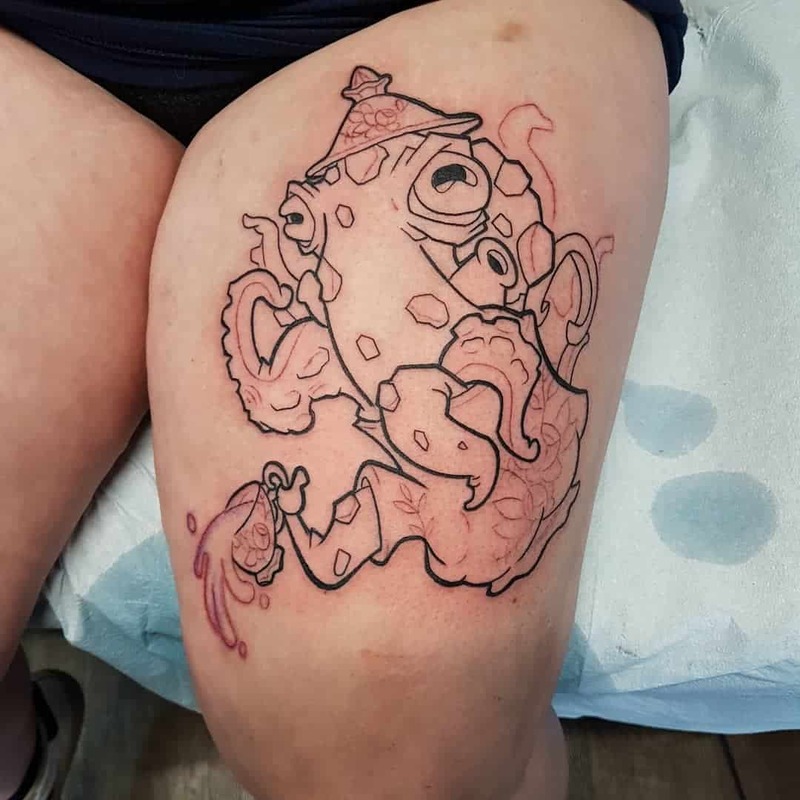 The name is self-explanatory as the octopus is a sketch of a real octopus. 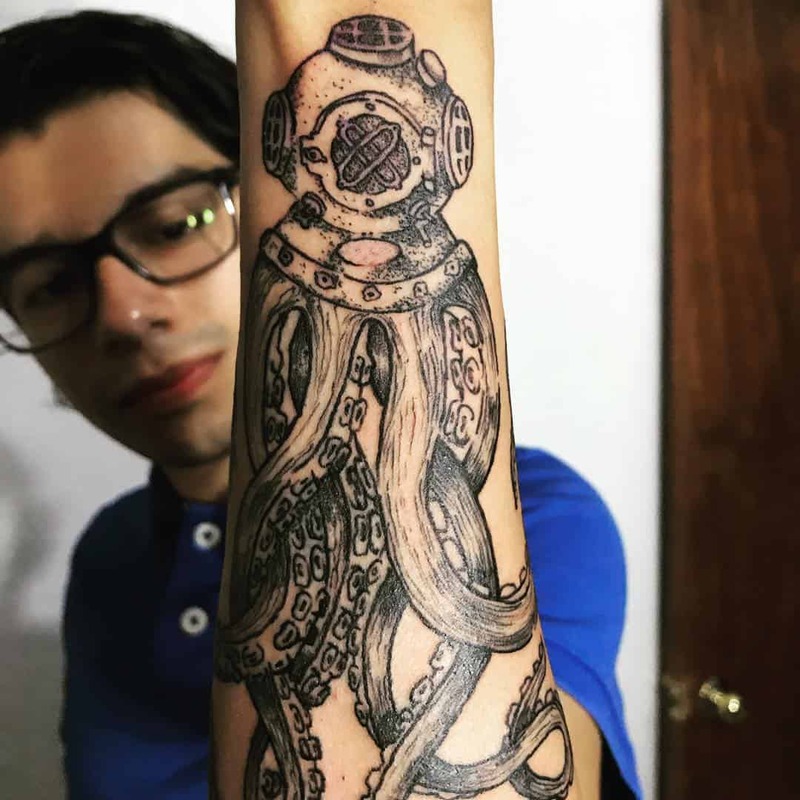 This style is a favorite amongst people who love marine life, or who love nature in general. 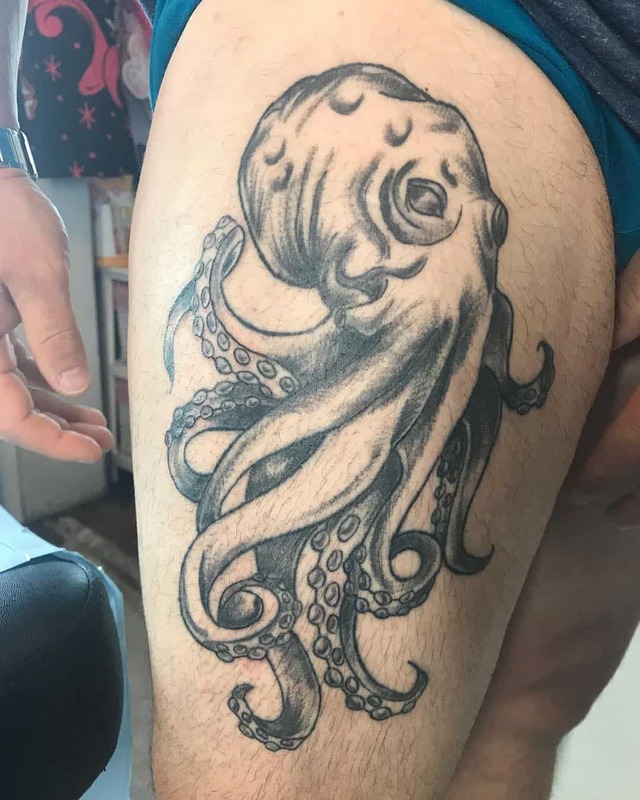 The only downside of this tattoo is that it needs ample space to show off the tentacles as they spread, which means placement is very important. 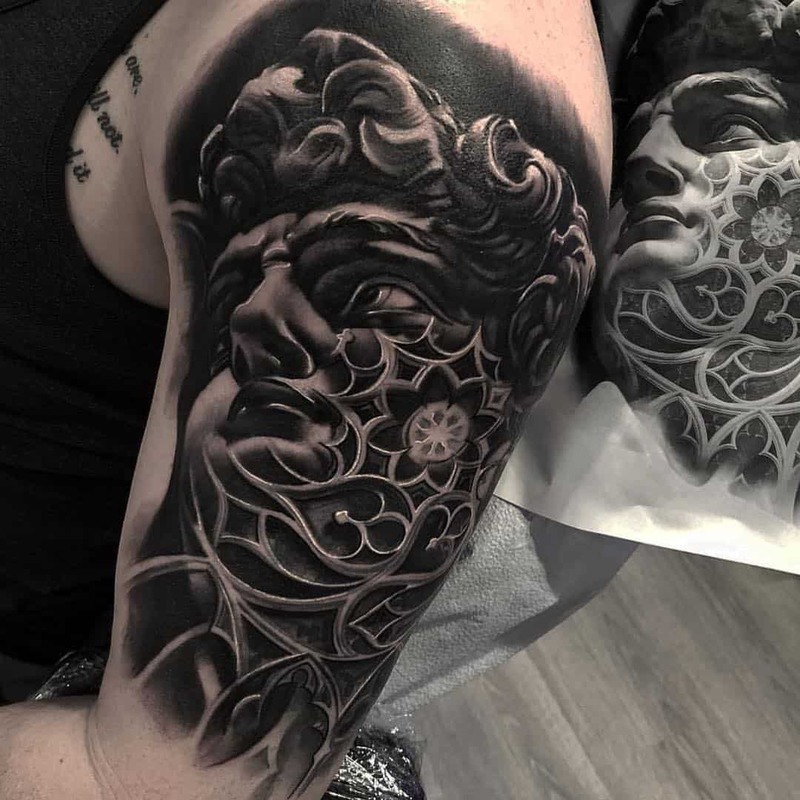 In most cases, there is no background, but the tattoo makes up for this with very intricate details and beautiful coloring. 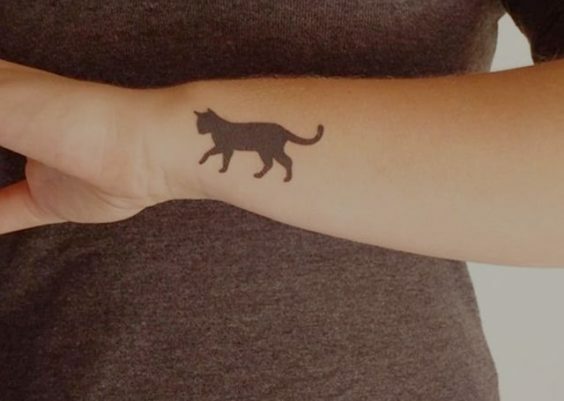 One of the most important things about getting tattoos is deciding where to get them. 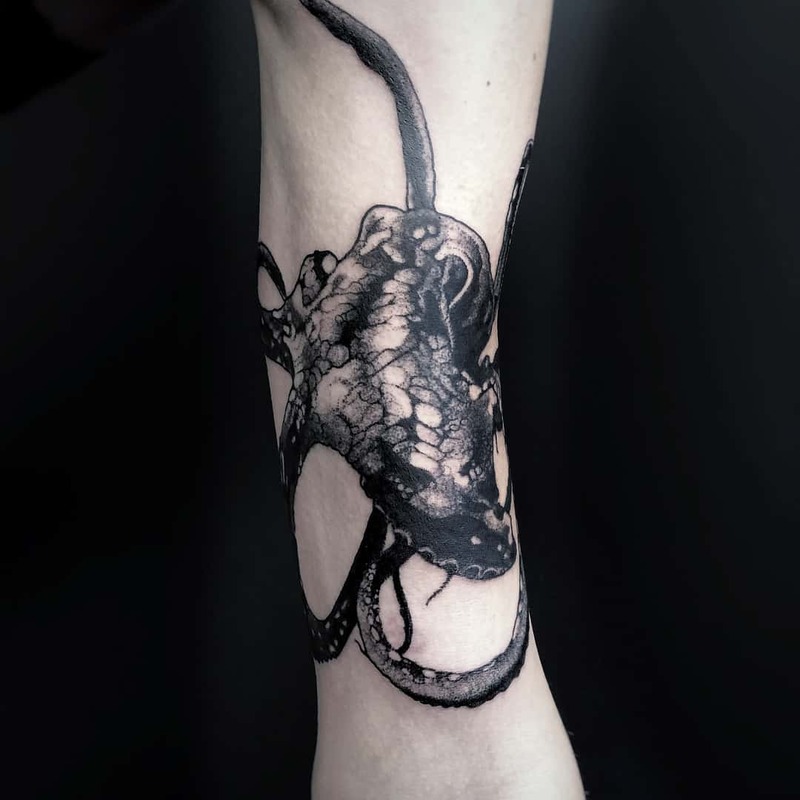 Placement holds great importance for a tattoo, not just in terms of aesthetics but also for meaning. 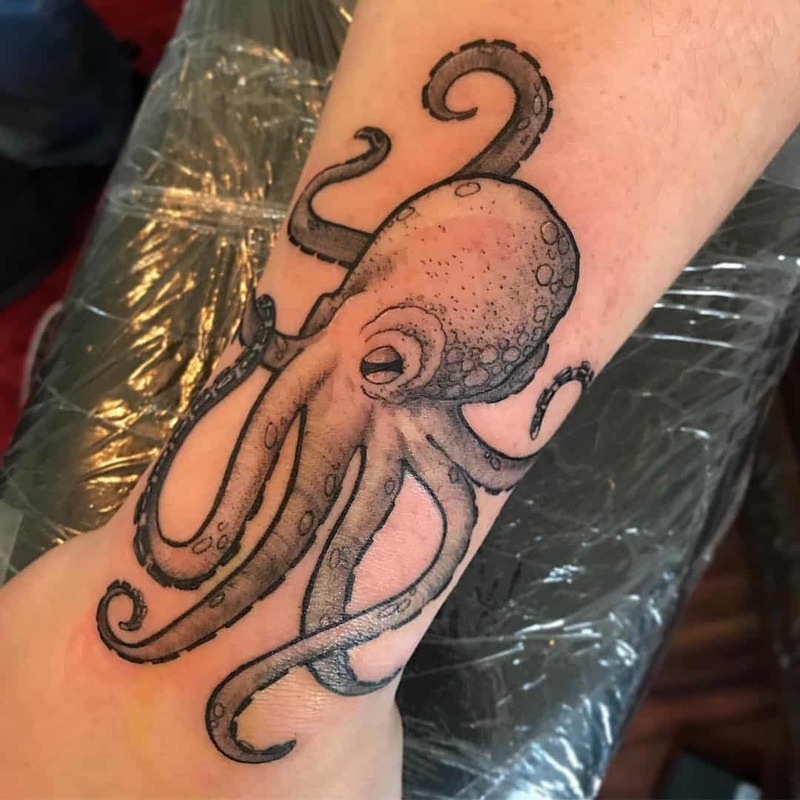 Depending on where you place your tattoo can tell a lot about you, and can change the meaning of your tattoo completely. 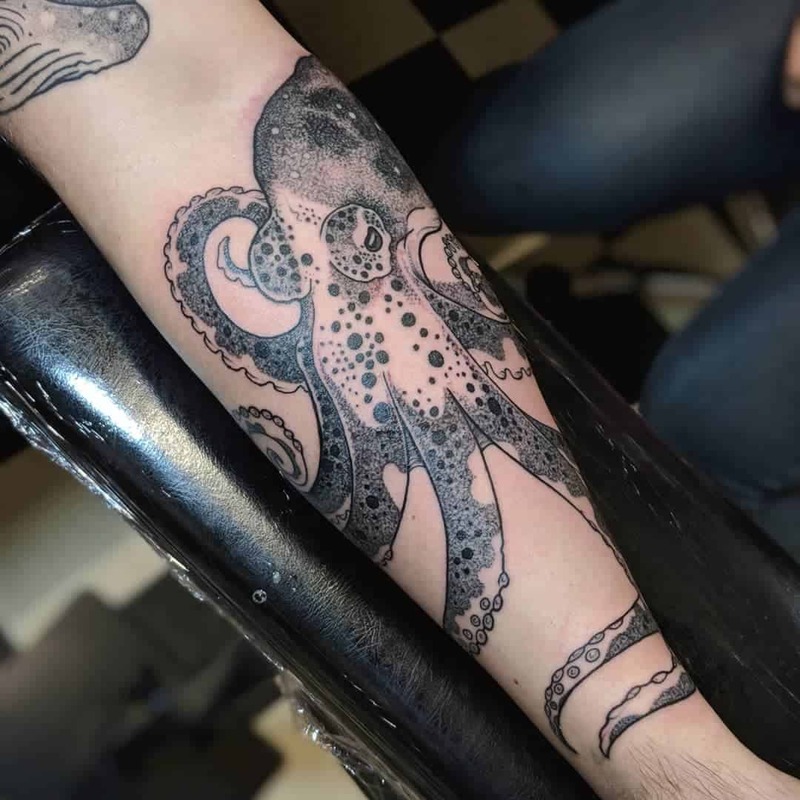 In this case, octopus tattoos stand out from all other tattoos, as you can get it on any part of your body depending on the size, style, and detail of the tattoo. 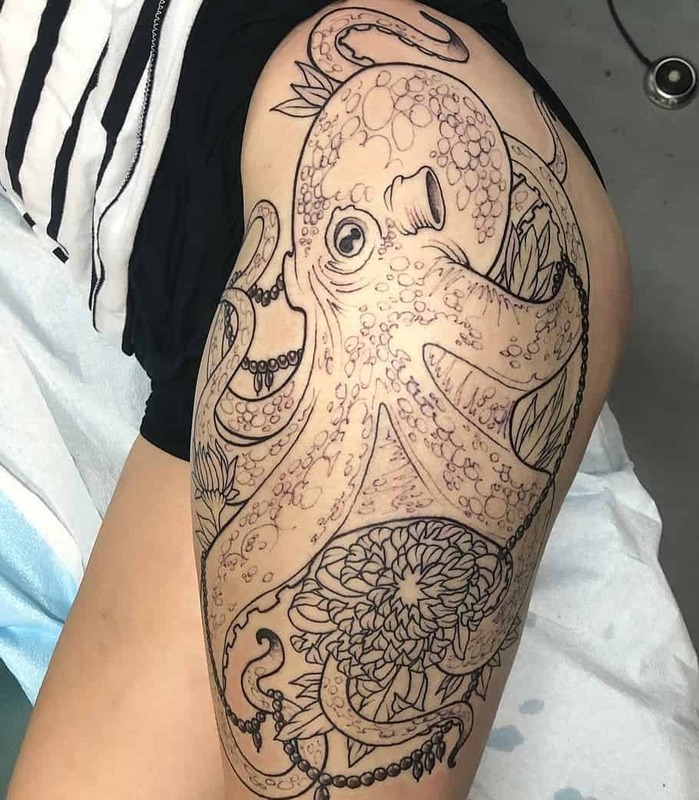 For a proper octopus tattoo what you need is a lot of space to cater to the most important feature of the octopus, the tentacles. 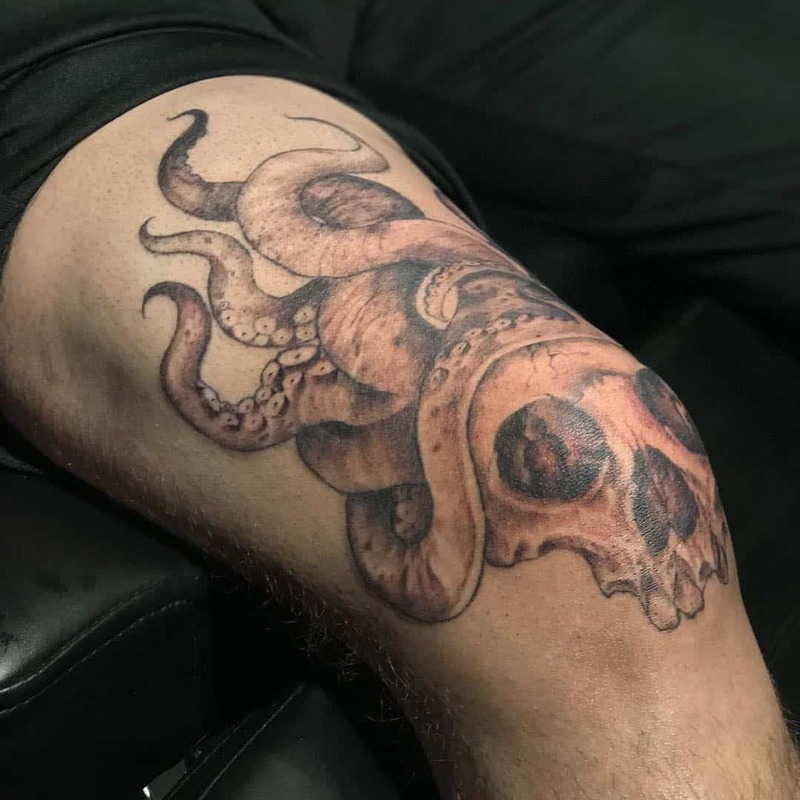 For this reason, some of the most ideal places are legs, arms, and back, as these body parts provide the most space for the artist to add great detail. 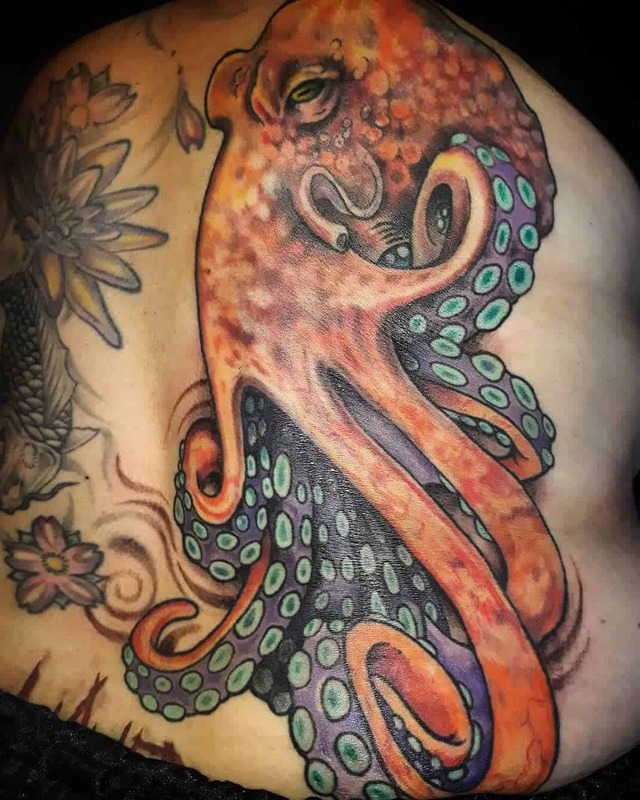 While many say that a proper octopus tattoo should go at the back or on the chest as artists have a lot more space to expand the tentacles. 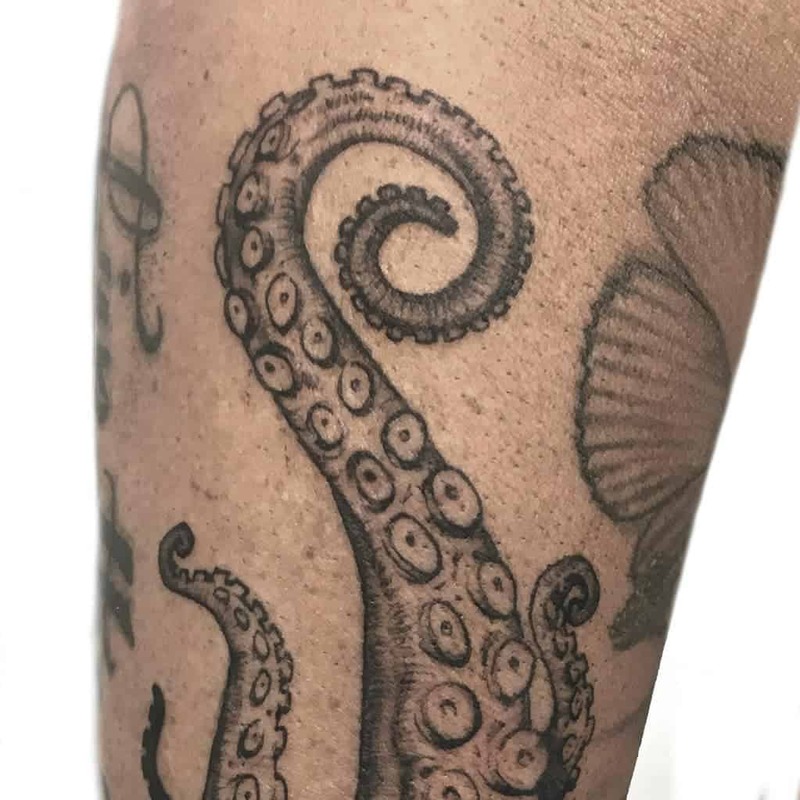 However, if you’re just looking for a standalone, detailed octopus without the background, then arms and the legs should suffice. 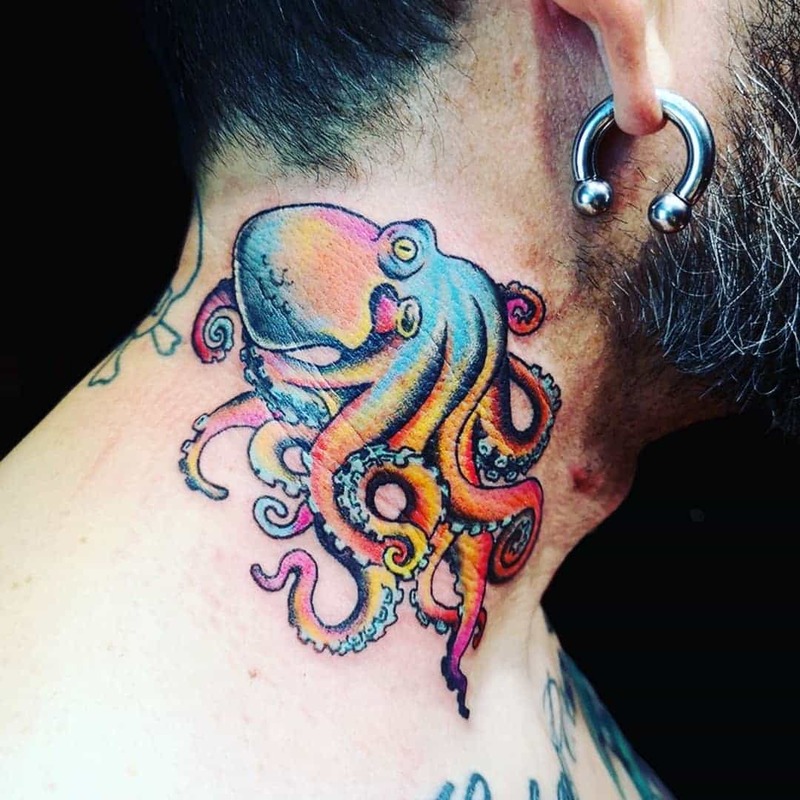 Other places where people get octopus tattoos are calves, ribs and neck. 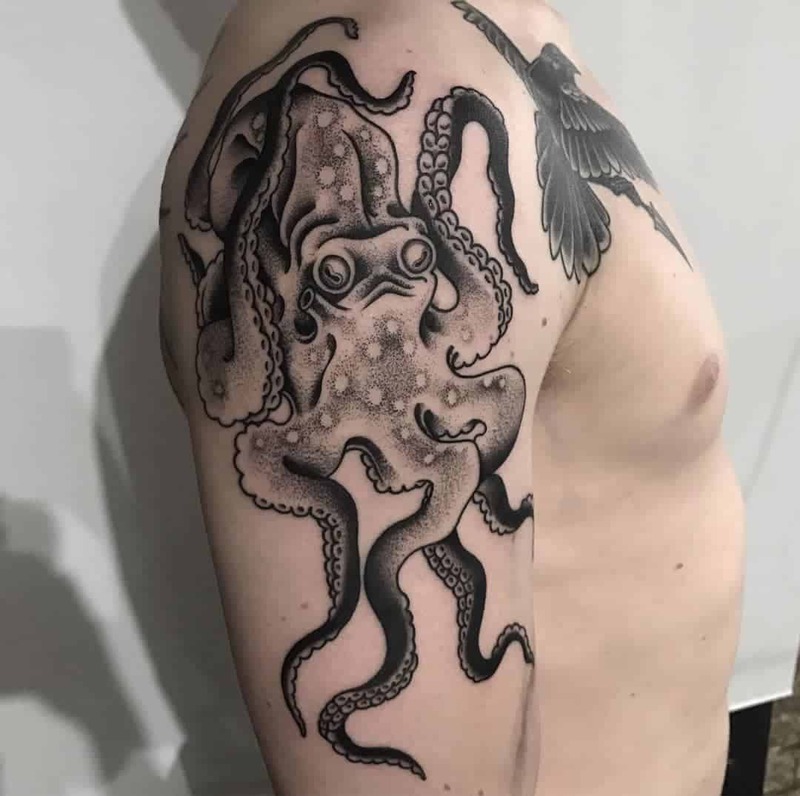 An octopus tattoo is a huge commitment if you want a good one it has to be big and choosing the right place for it is sometimes the hardest part of getting the tattoo. 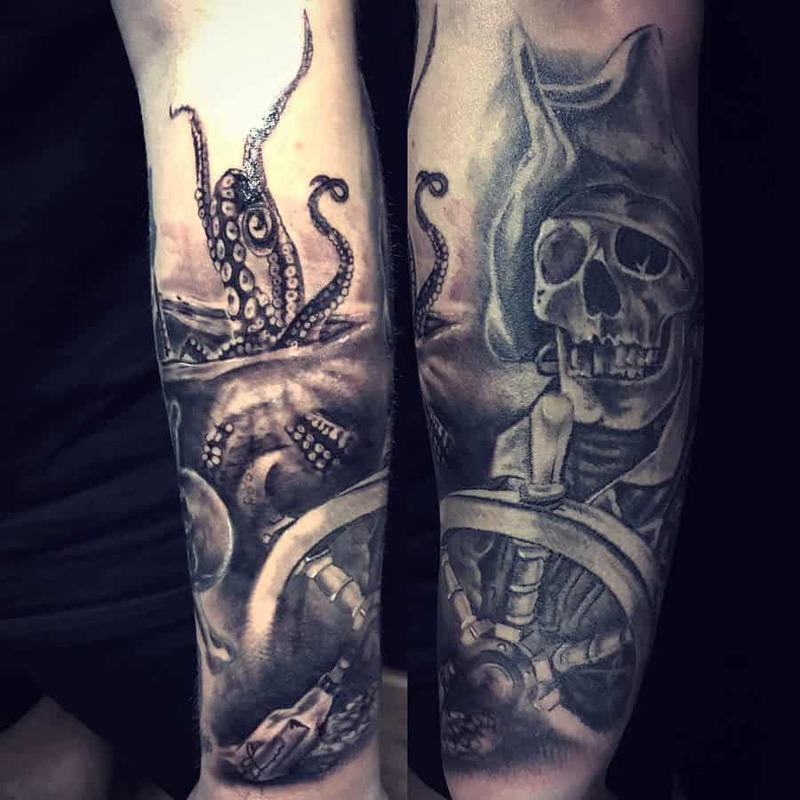 Where you get your tattoo can have a great impact on both the look of your tattoo as well as the meaning; so, you should choose wisely. 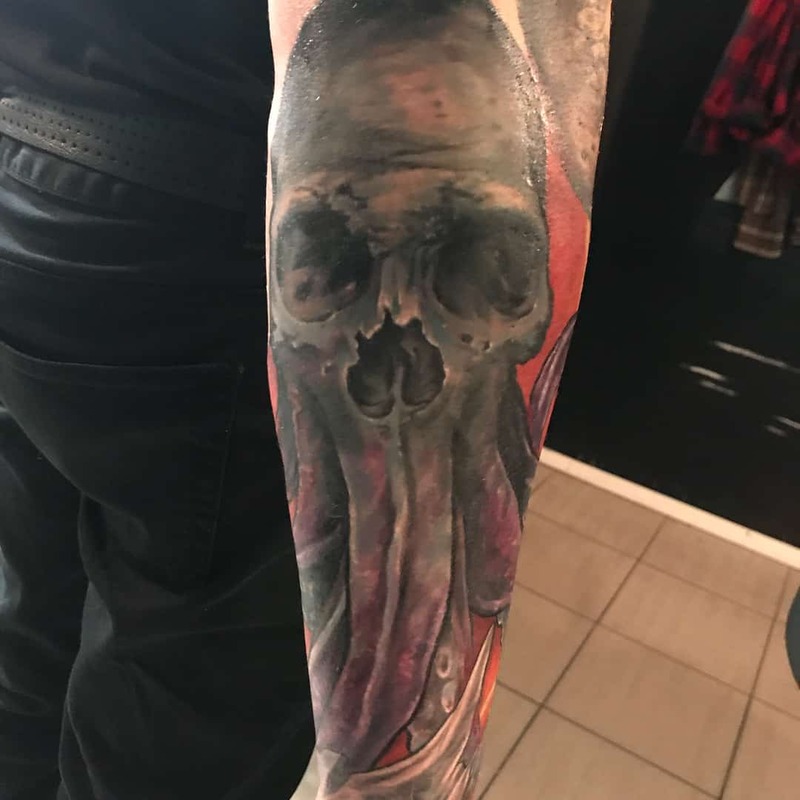 Now we will move onto the next step of getting your tattoo. 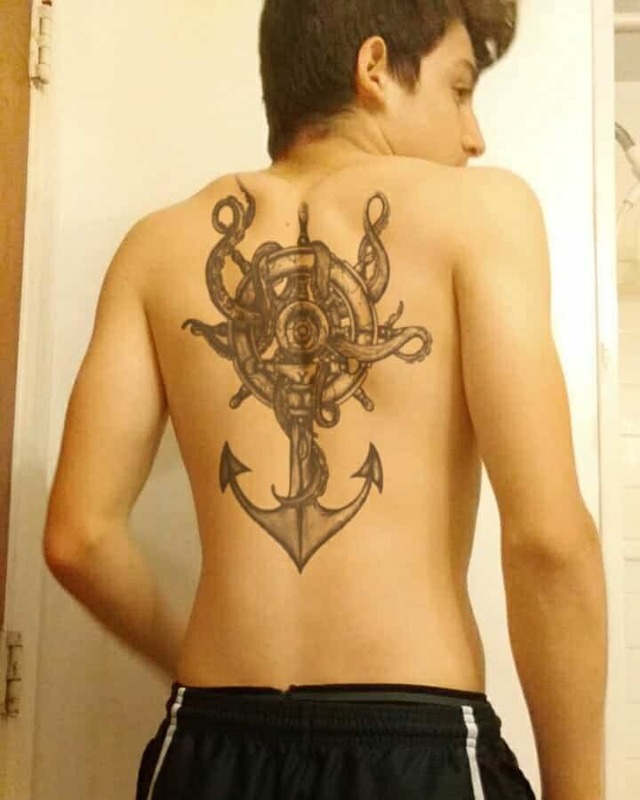 People get tattoos for either one of the two reasons, their symbolic meaning or style and appearance. 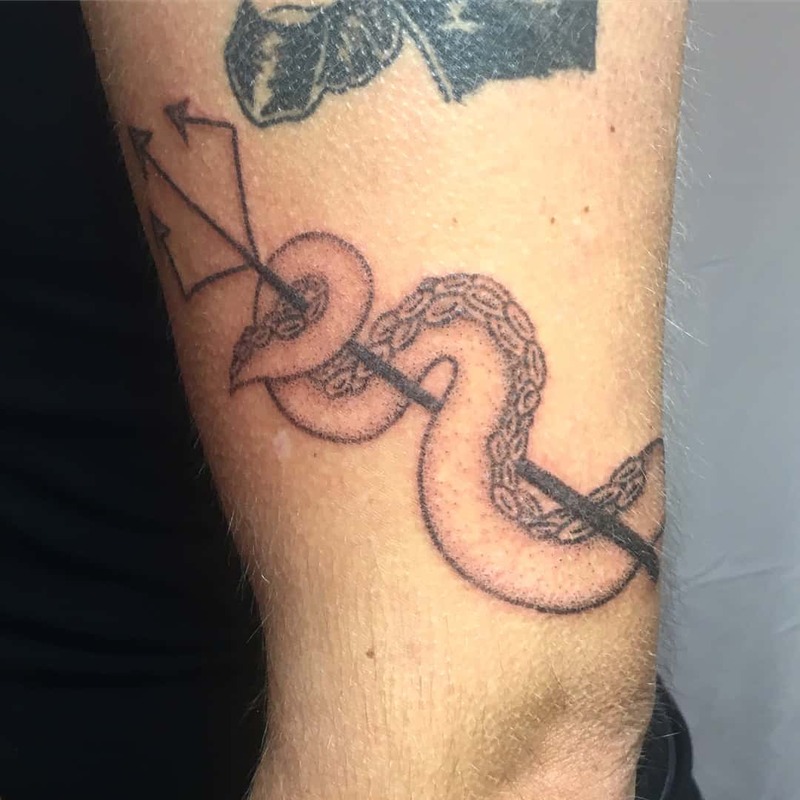 If you are the latter of the two types, then you shouldn’t concern yourself with this part of the guide, but a meaning for your tattoo makes for a great story when meeting new people. 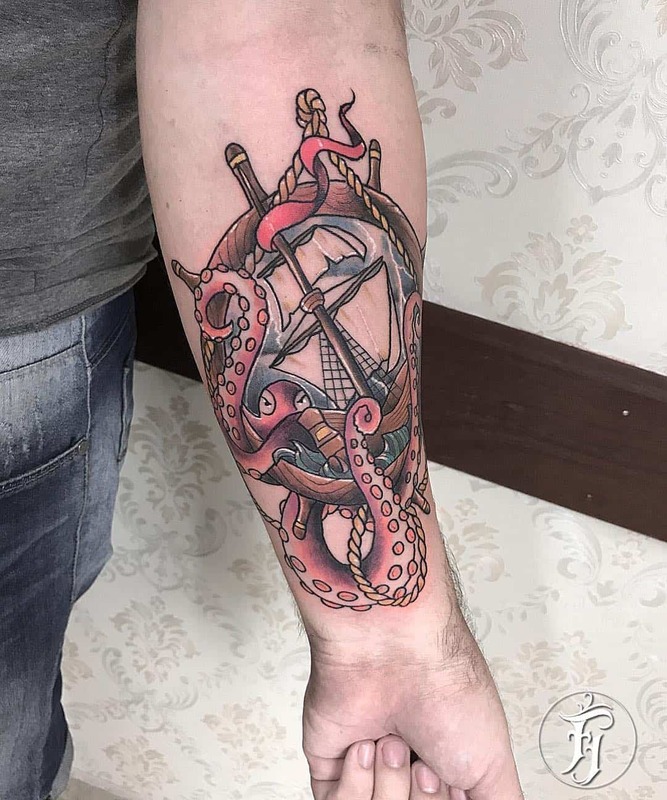 Now for people who get tattoos for their hidden and metaphorical meaning, they understand the nuances of the specific tattoo and this style of tattoo holds many meanings. 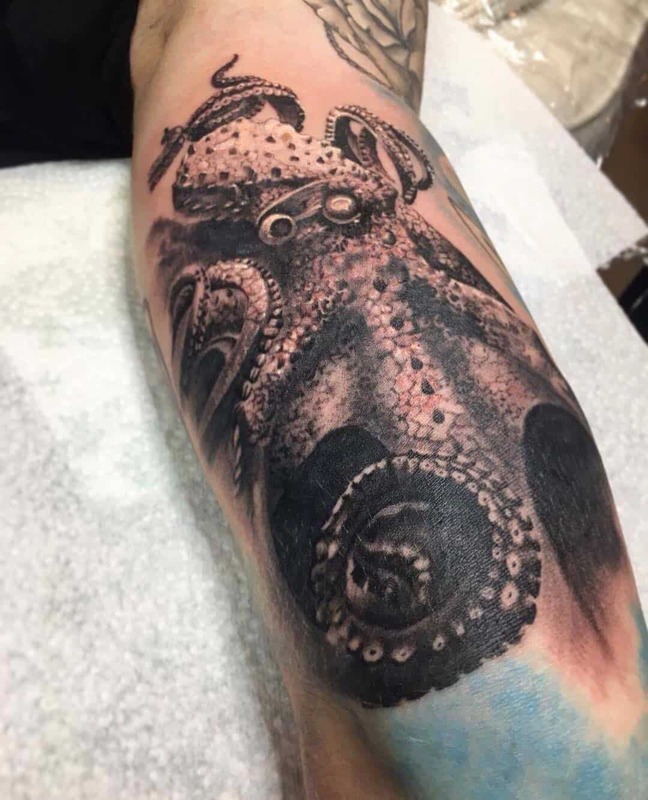 Other than references to visual media, which is a copy paste of what you saw, your artist or you can get the inspiration of tattoos from one or all of these four meanings associated with the octopus. 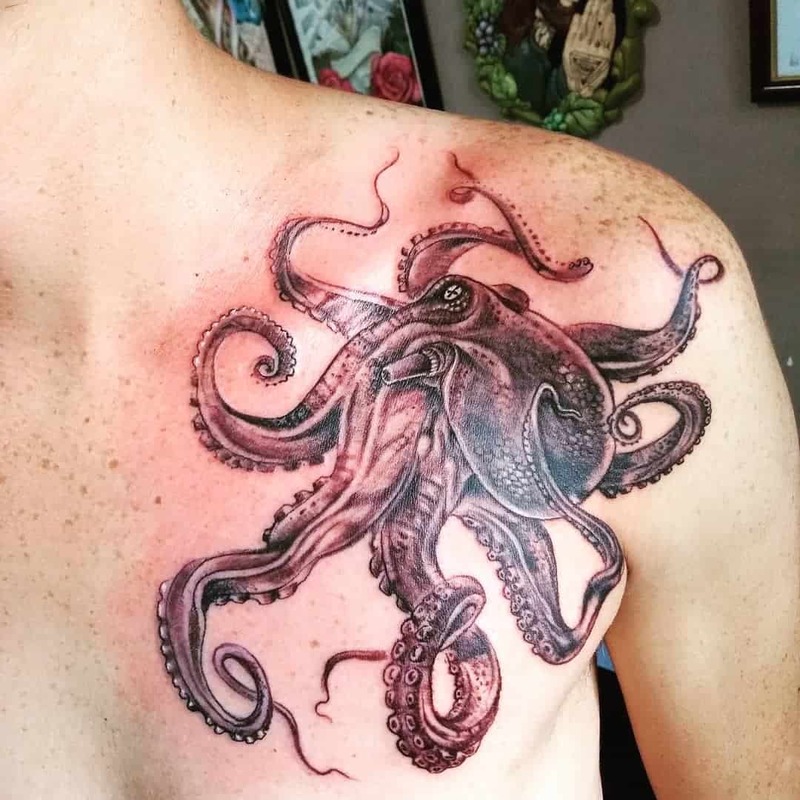 If you’re getting a tribal octopus tattoo then it only makes sense that you understand what it truly means. 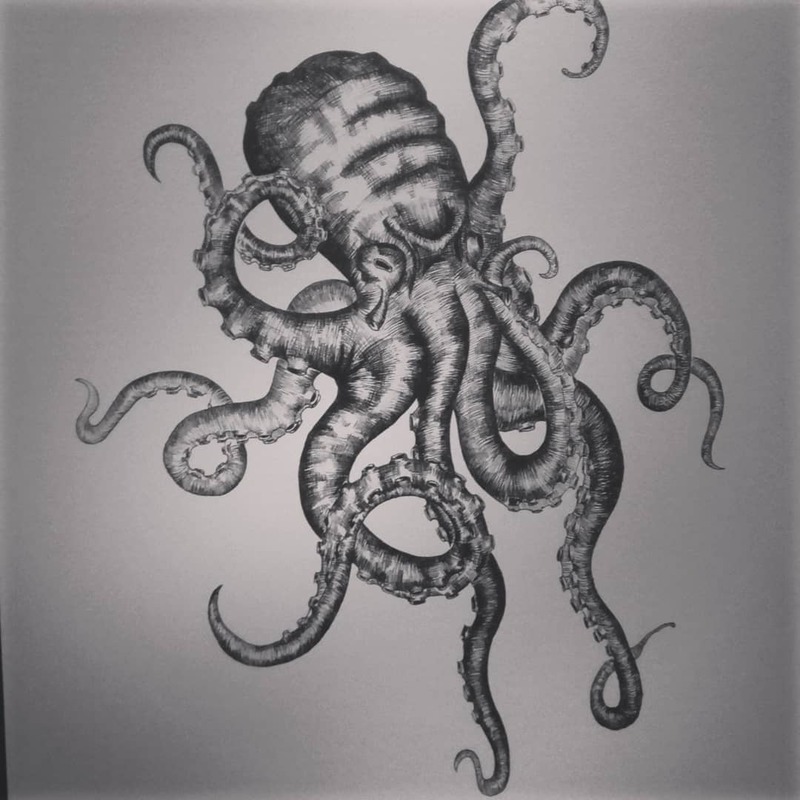 While there are many interpretations of the tribal octopus, the most famous of all these meanings is the Polynesian one. 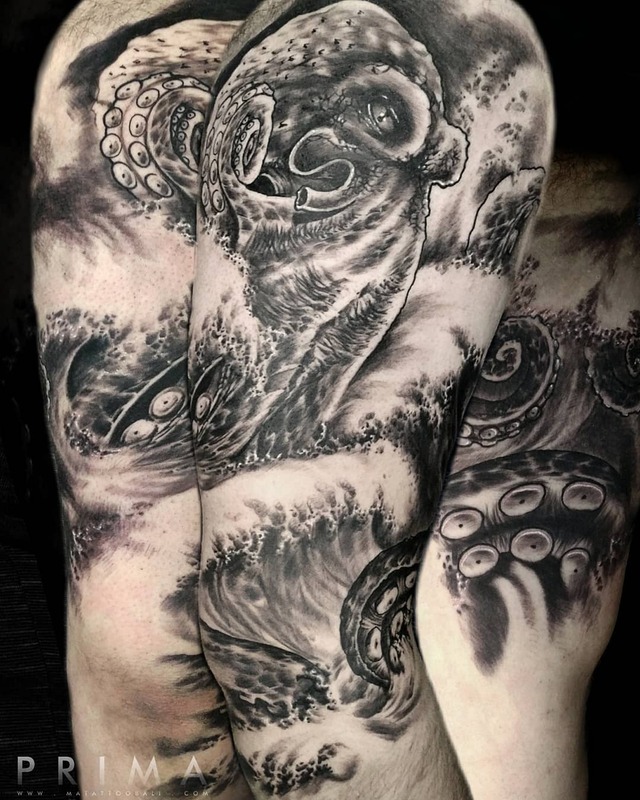 The Kanaloa, who is the ruler of the seas and leads the sea through its many wars, represents the octopus. 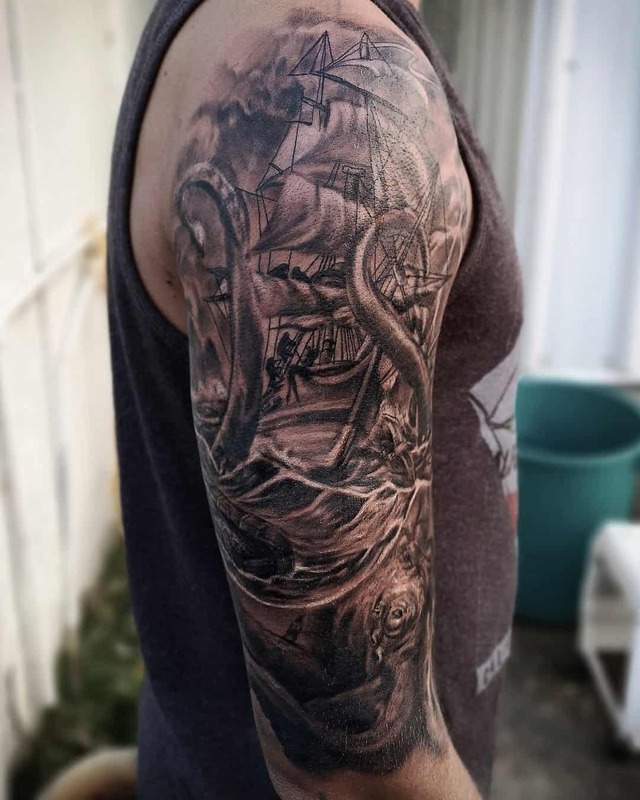 Most people, who choose this tattoo, choose it to pay homage to a large part of the Polynesian folklore, as well as to admire the enchanting spirit of the sea. 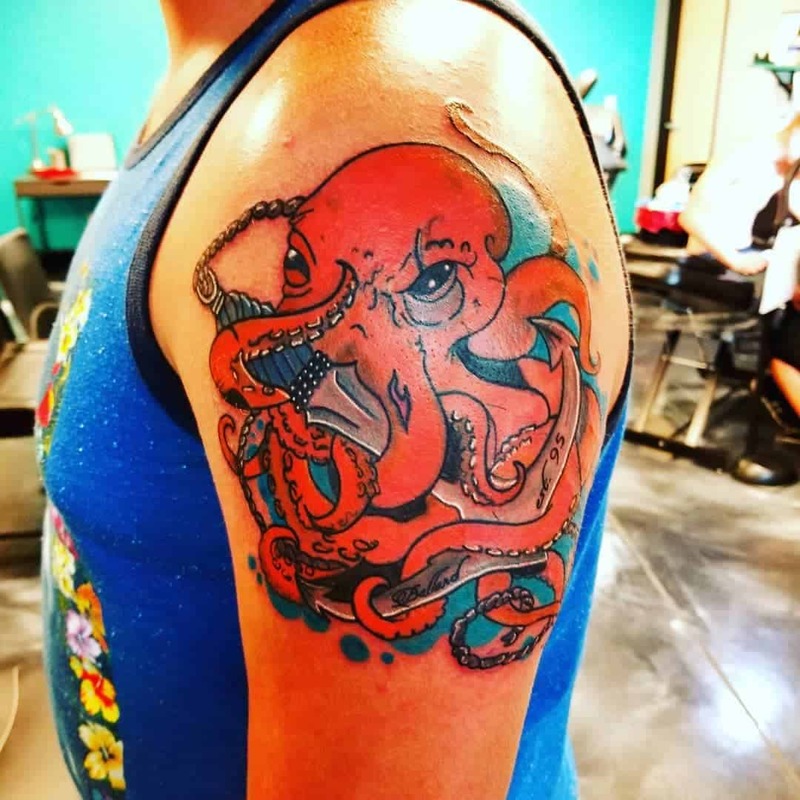 While the tribal tattoo sees an octopus as the protector and the king of the seas, the Bible sees the octopus as a demon from the sea. This demon restrains you from seeing enlightenment, by wrapping your mind in a cloud of darkness. The demon takes the host into such darkness where they blur the line between good and evil. 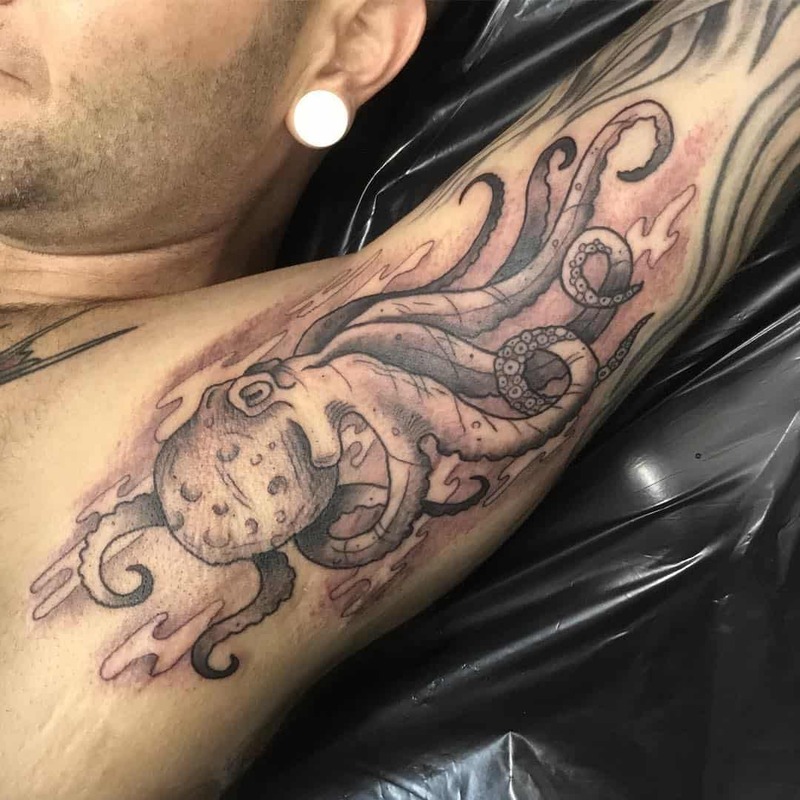 While many people don’t take religious symbolism too seriously, others who had a dark past and found the light often have tattoos of an octopus on their arms. 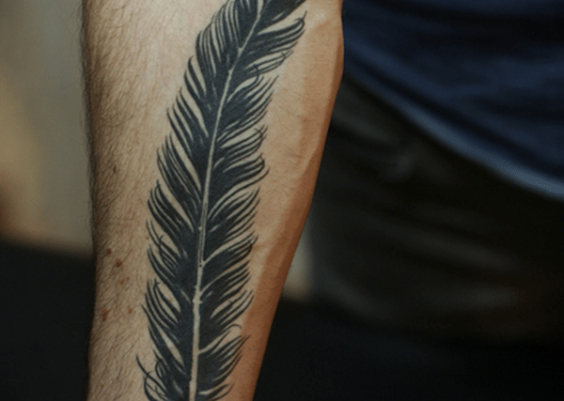 The tattoo stands as a reminder for when the person was lost but eventually found their true self. 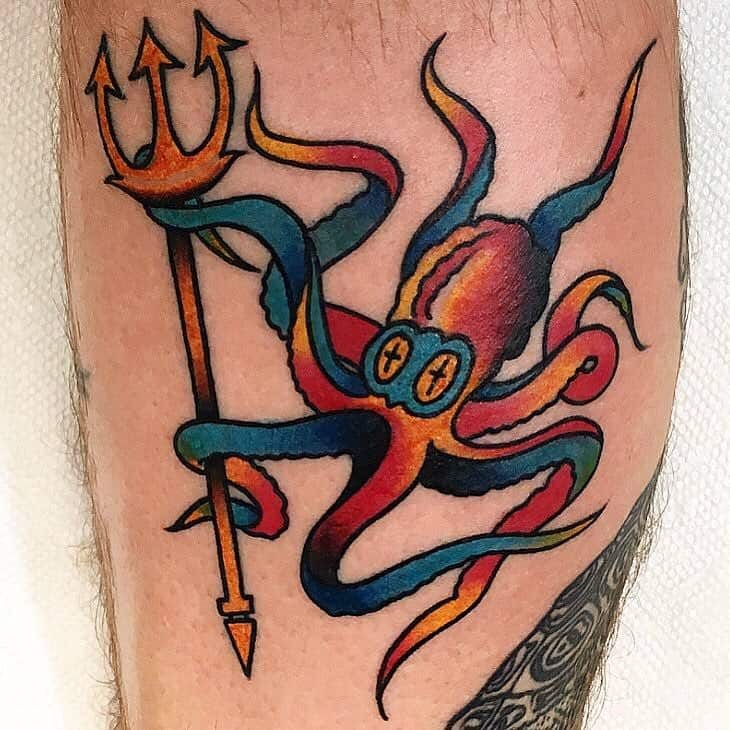 The spiritual meaning for this tattoo is quite different from all other interpretations, rather than be the king or demon of the seas, symbolically the creature is one that can adapt to its surroundings. It is the totem animal of psychic power and creativity, something that stems from its strong and pure emotions. 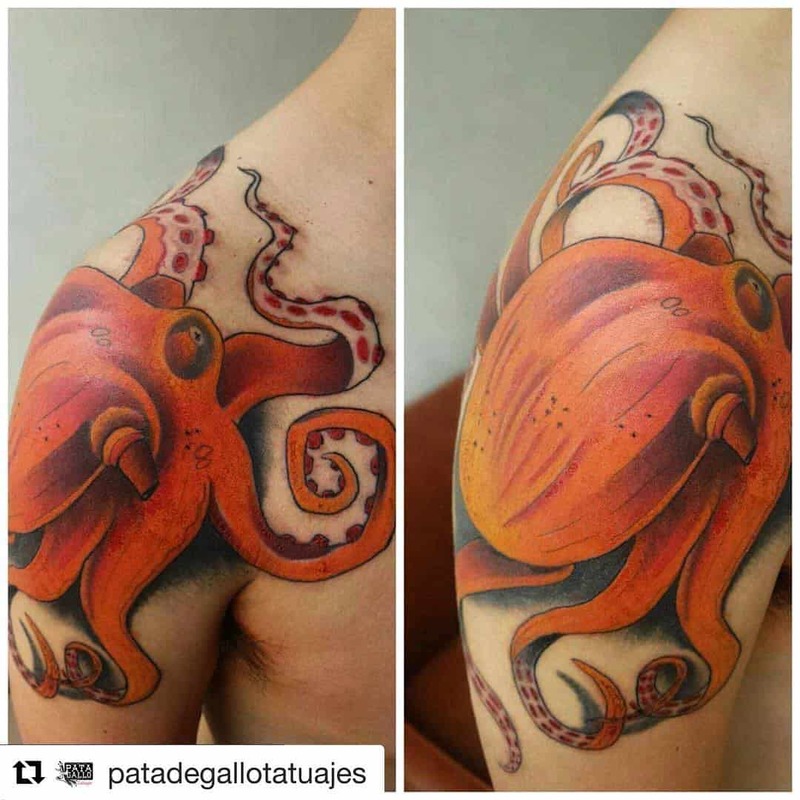 Thanks to the spiritual animal’s impressive ability to heal itself the bearer of the tattoo can overcome any challenge that they face. 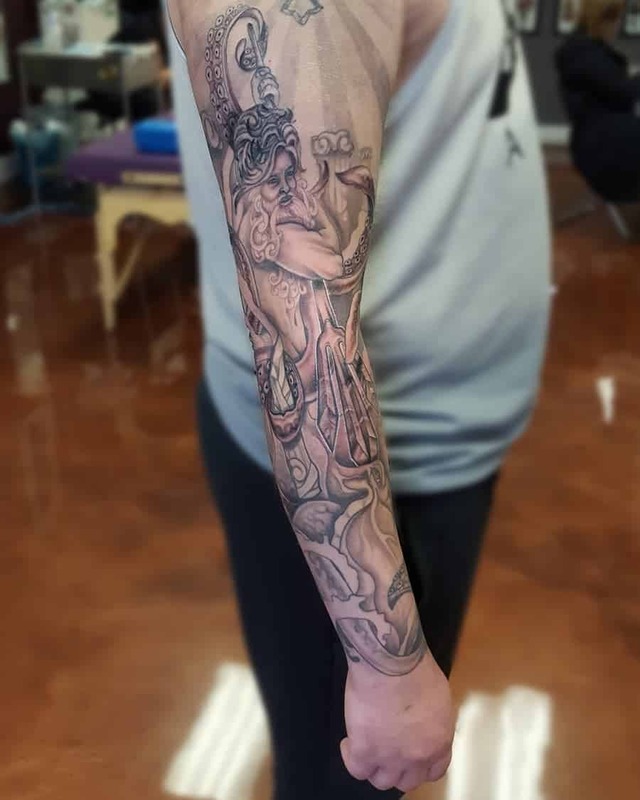 Even if you do not believe in spiritual meaning or what it stands for, it’s always good to know the spiritual meaning of a tattoo before showing it off. 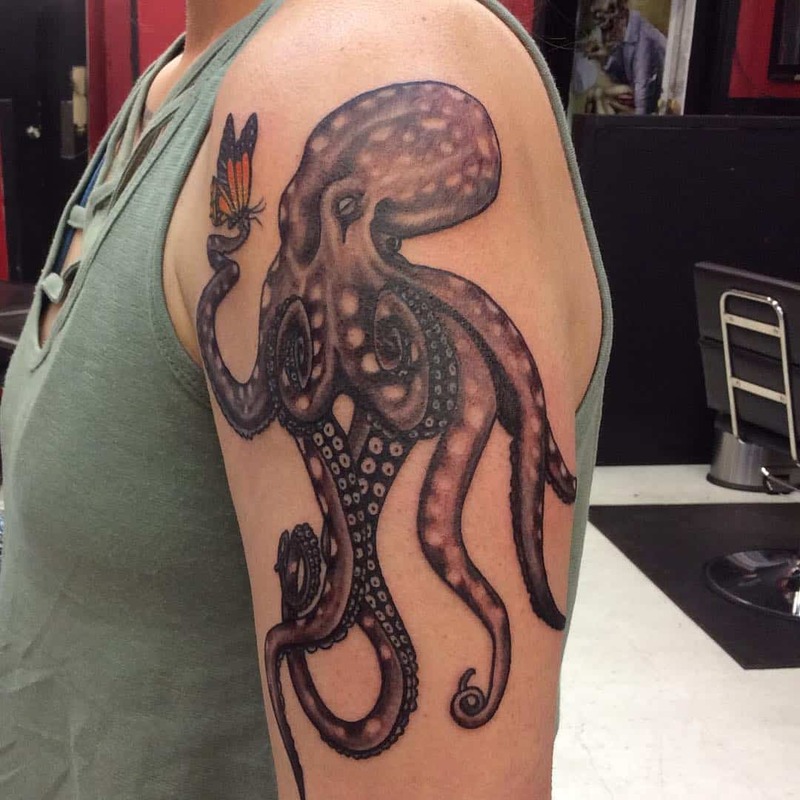 Now after all the references in religion and all other media, the octopus also holds a general meaning, one that is grounded. 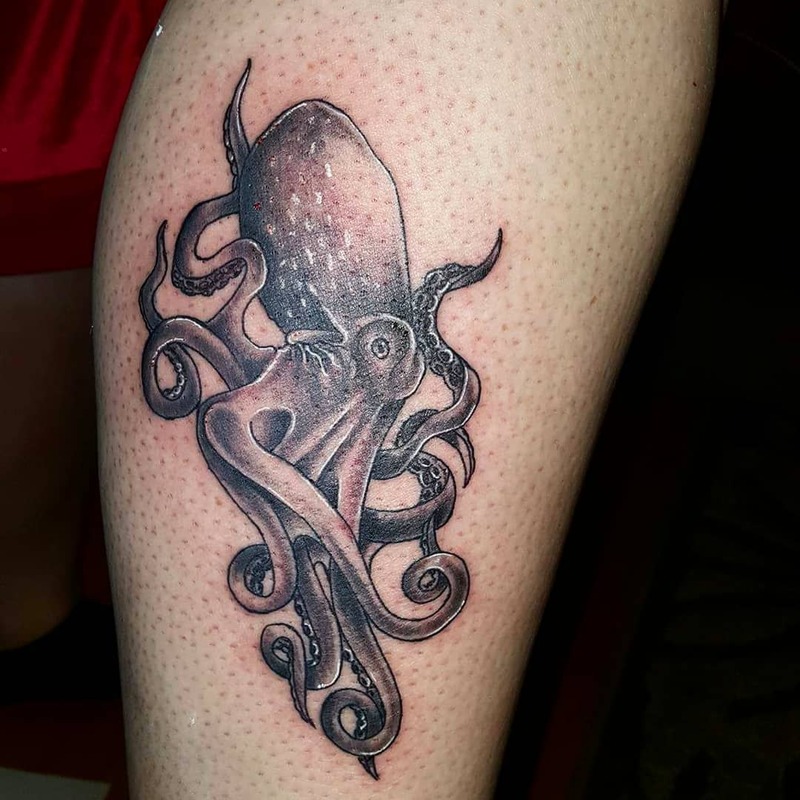 Octopi are very intelligent creatures that can adapt to their surroundings no matter how harsh. Other than being intelligent, octopi are also very strong and can camouflage themselves. 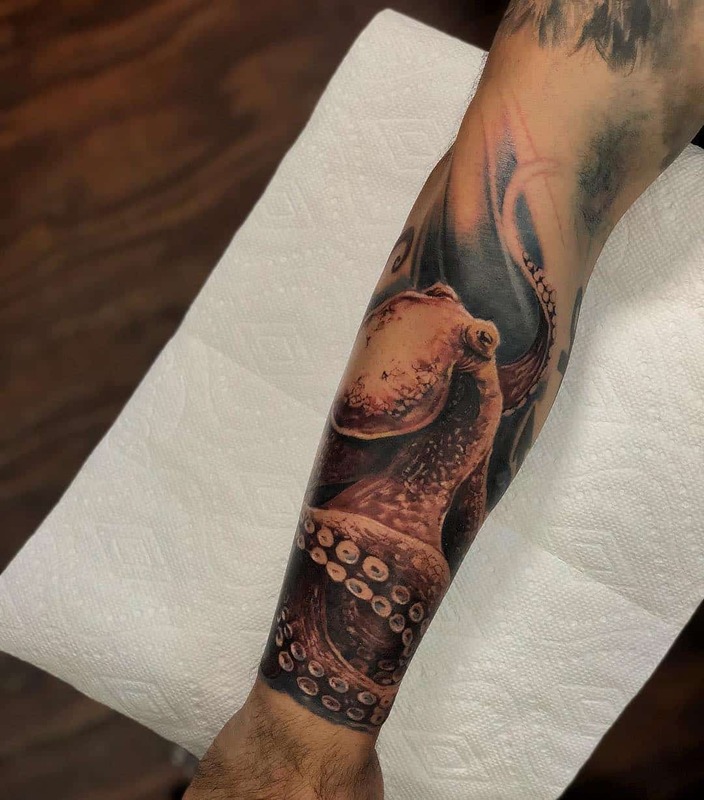 With all of these characteristics, the octopus is a very strong and adaptive sea creature, something that the wearer also tends to symbolize. 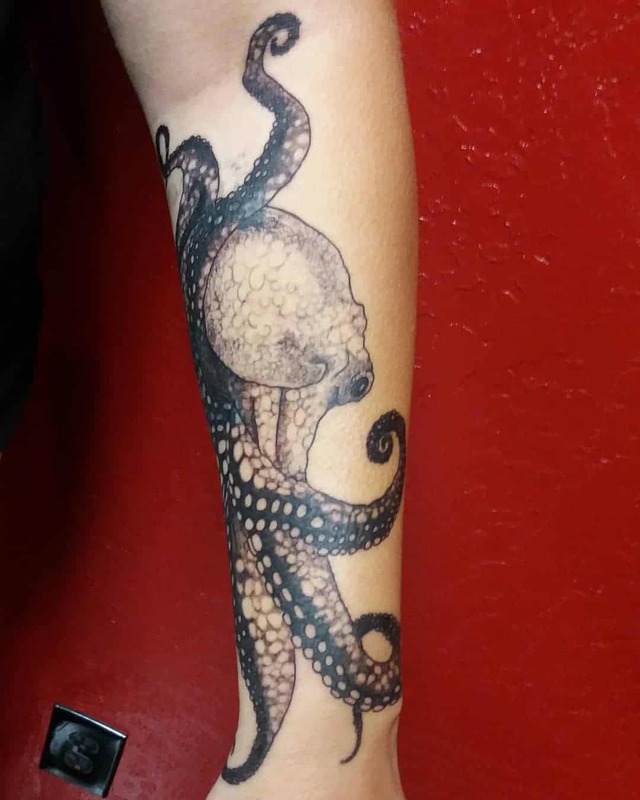 Most people wear the tattoo to show that they are very resilient and can change when time calls for it. 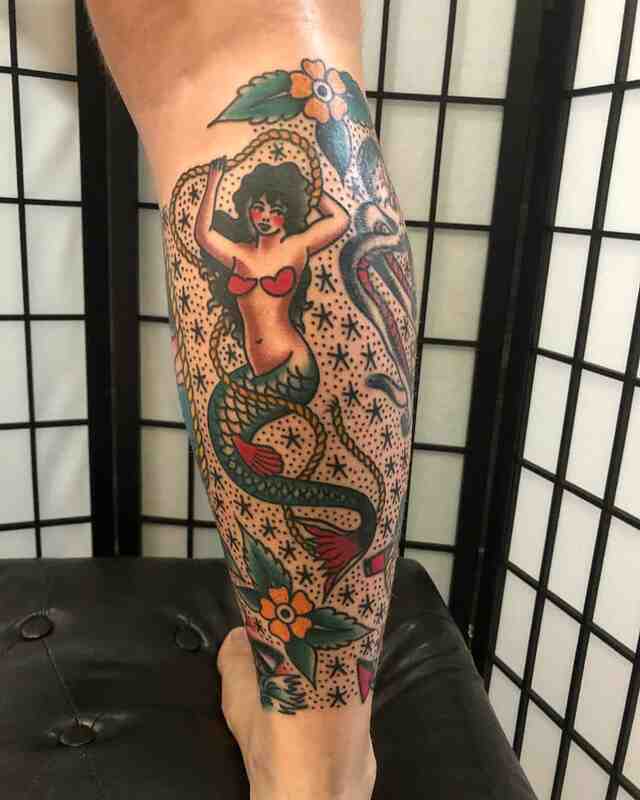 Now onto the factor that most people take seriously when getting a tattoo, cost. 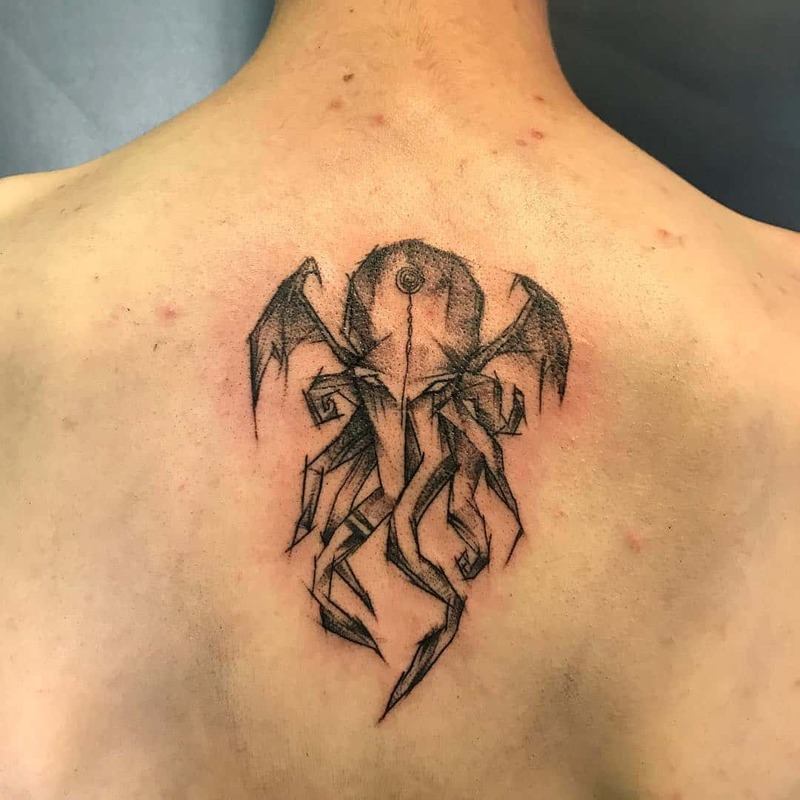 For most people, who have done their research, the cost is the tipping point, and their decision for the tattoo hinges on how much it costs. 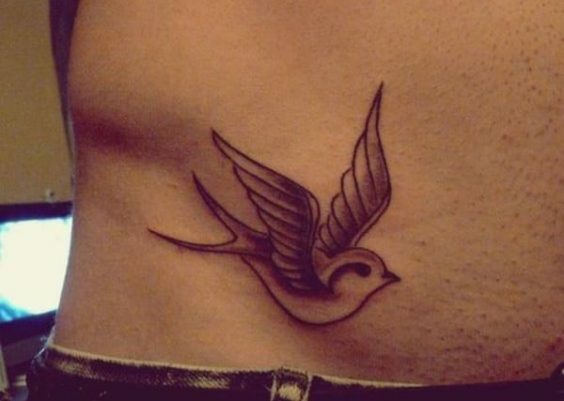 If the customer finds it expensive, no matter what the tattoo symbolizes the person will drop it. 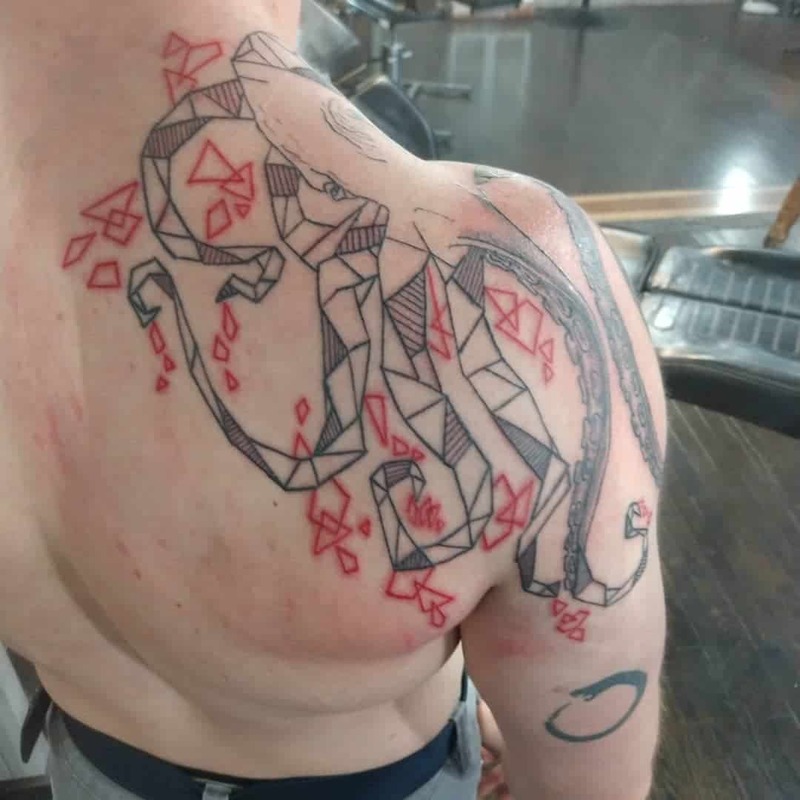 So, before going any further, you must understand that while getting a tattoo you pay for what you get. 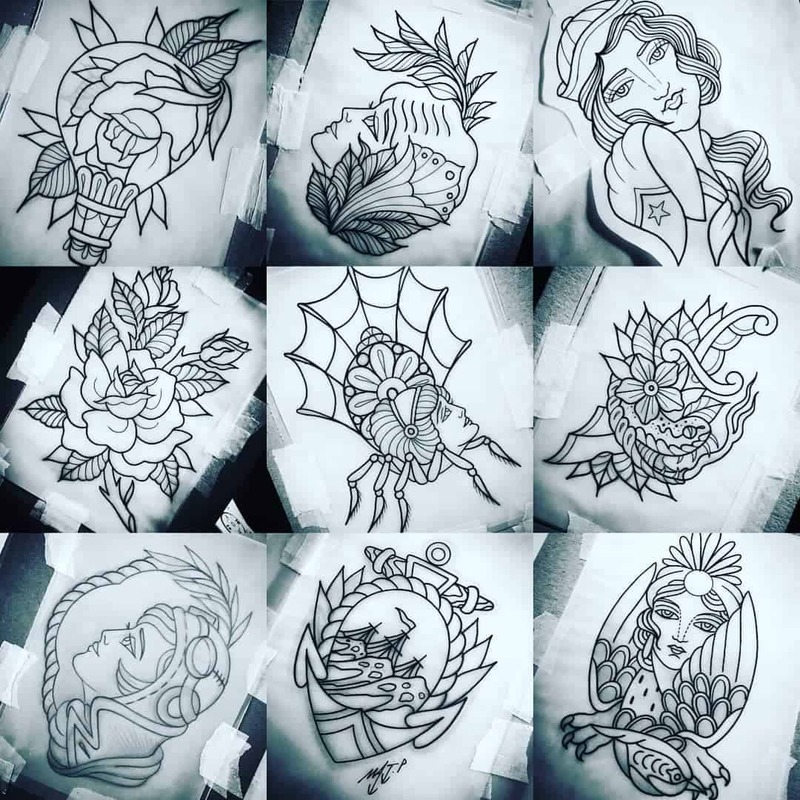 A good tattoo can be very expensive, but you must understand that there are a lot of factors that influence the price of a tattoo. 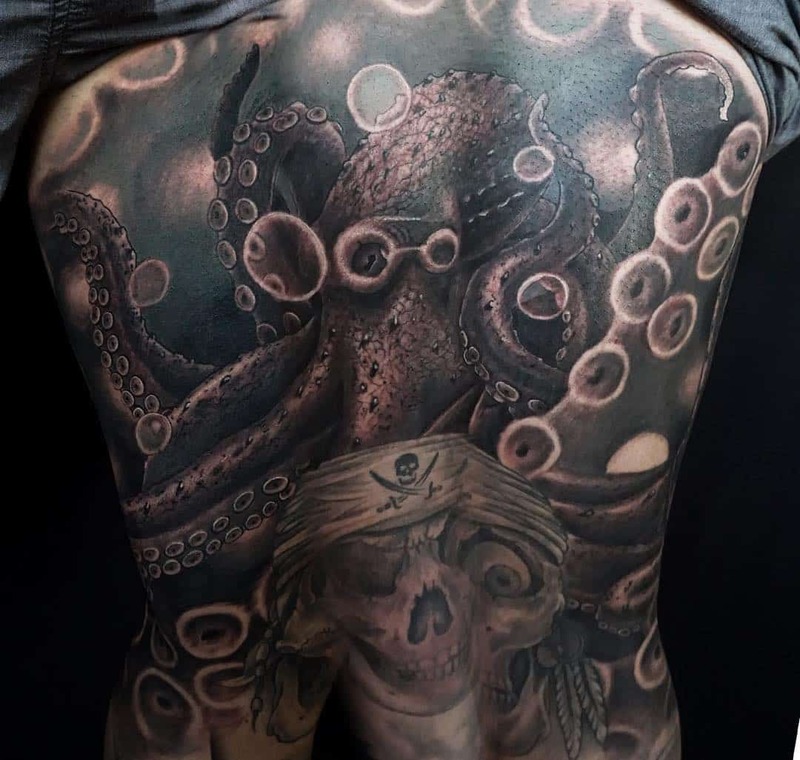 The first thing that influences the cost of a tattoo is the level of detail. 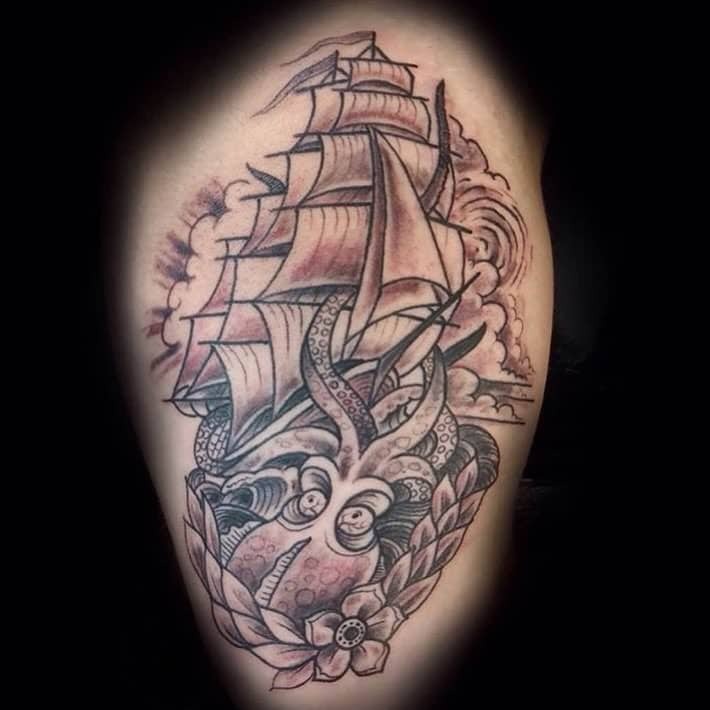 If you’re adding a lot of bells and whistles to your tattoo, it will increase the cost dramatically. 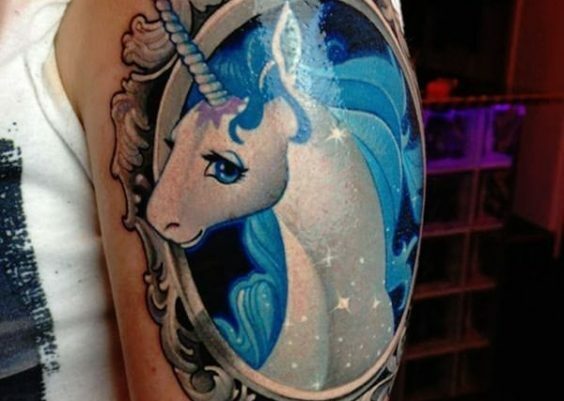 Secondly, the bigger the tattoo the more expensive it will be. 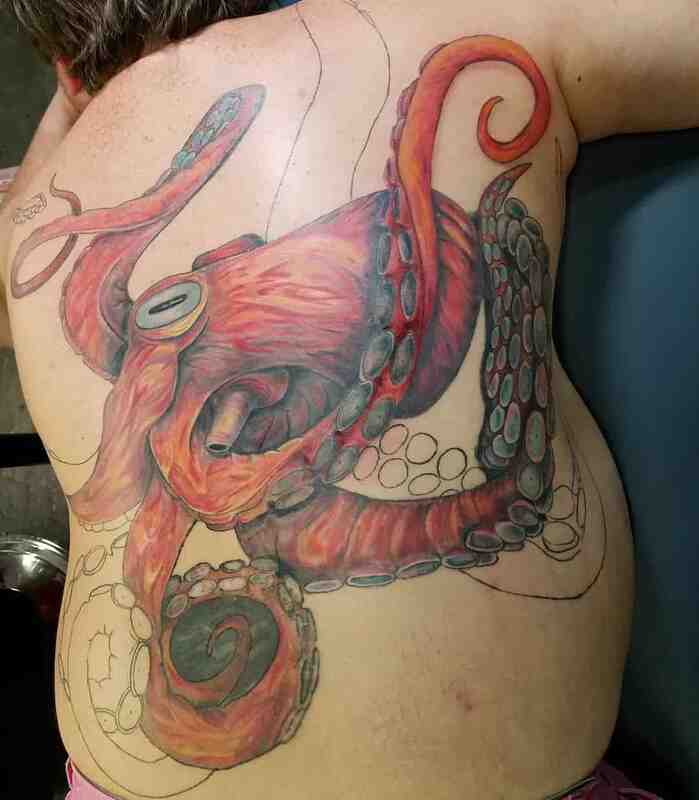 Now, this may not come as a surprise but in tattoos, size does matter and its one of the driving forces for an artist. Third, the artist and their skill matter. 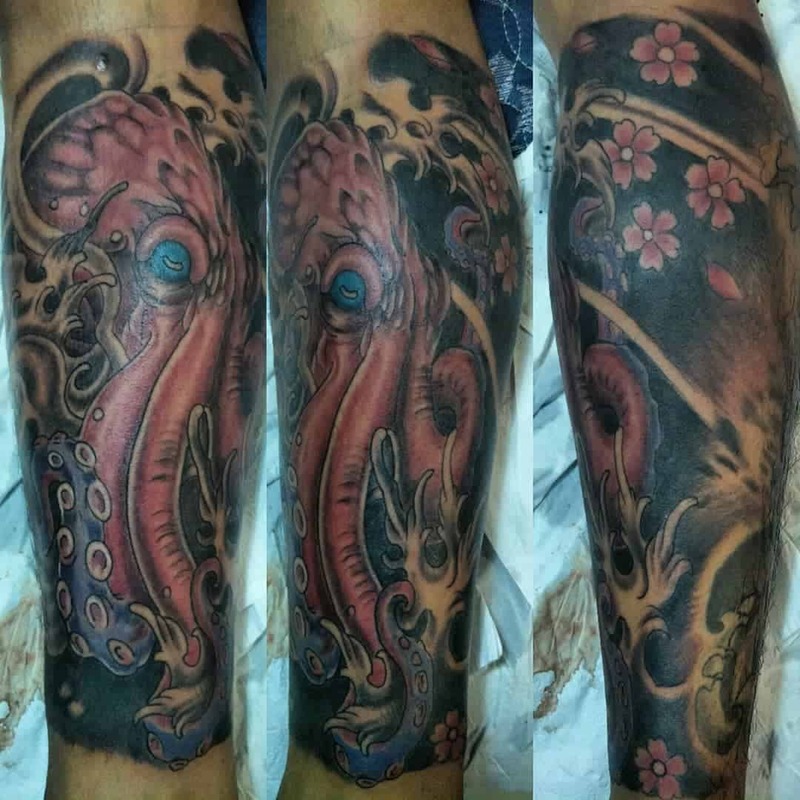 Now sometimes you might get lucky and find a rising tattoo artist who can give you a decent tattoo at a cheaper price. 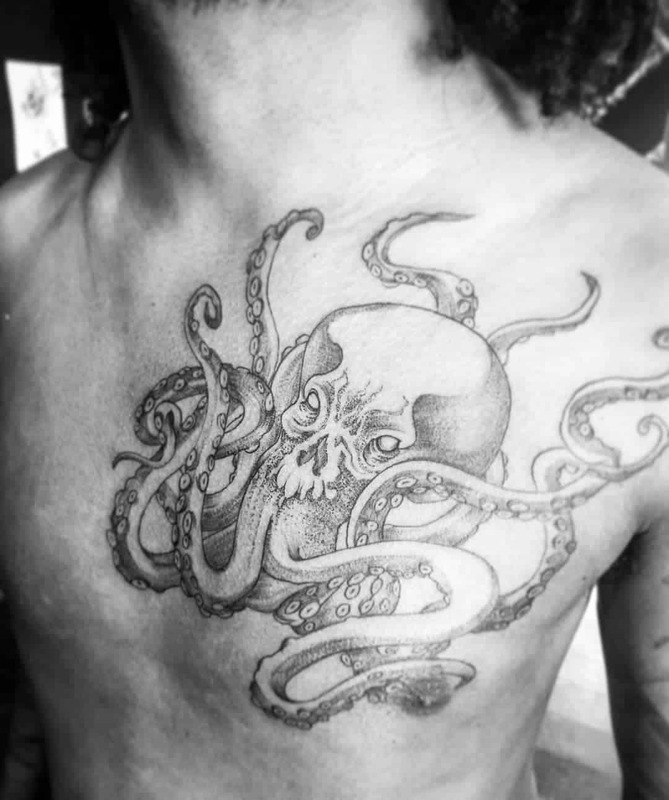 However, an artist who understands how good he is will charge more for a tattoo rather than a rookie tattoo artist. Finally, the last factor that influences cost is obviously, the reputation of the shop where you’re getting it from. 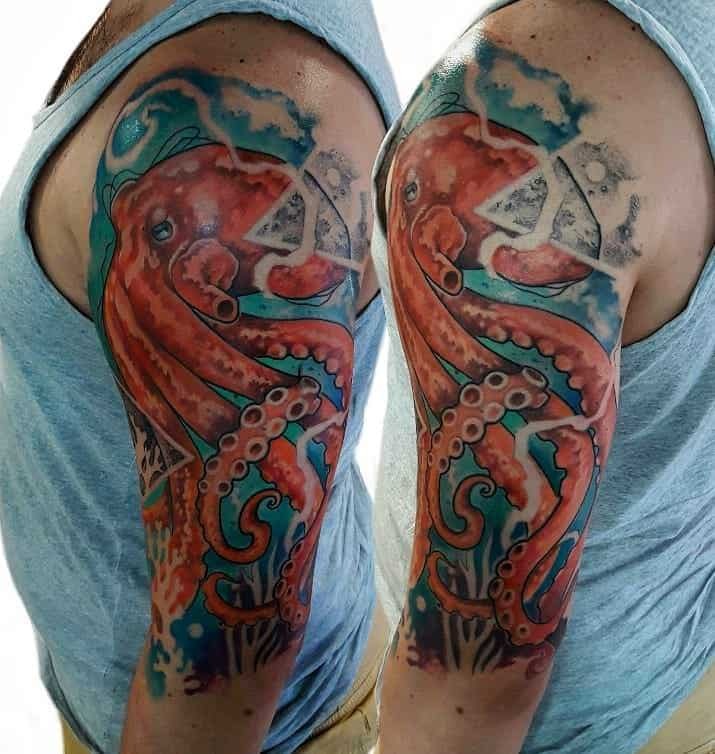 Think of tattoos as food, while smaller restaurants have cheap food, tastier food, it’s not the same as the expensive restaurant. 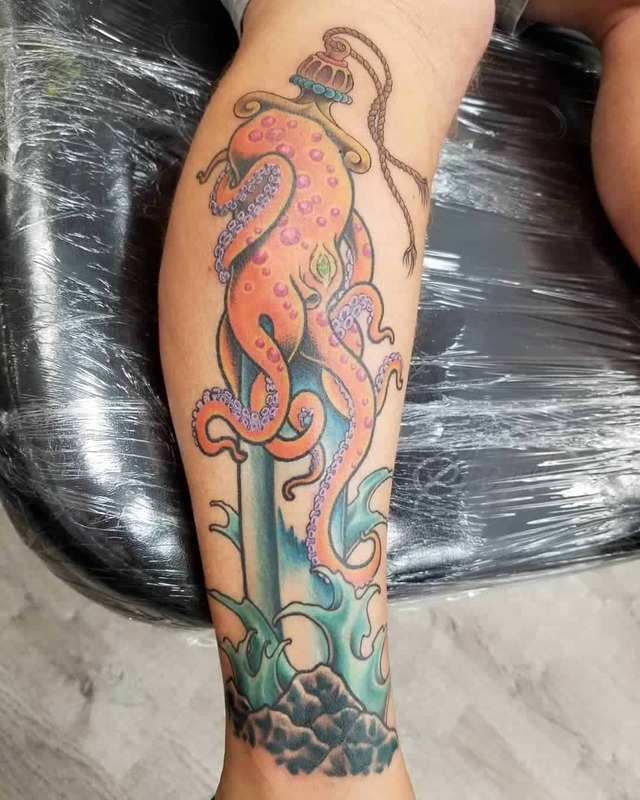 In a famous tattoo shop, you won’t have to worry about sanitation or cleanliness, which are two of the most important things when getting a tattoo. 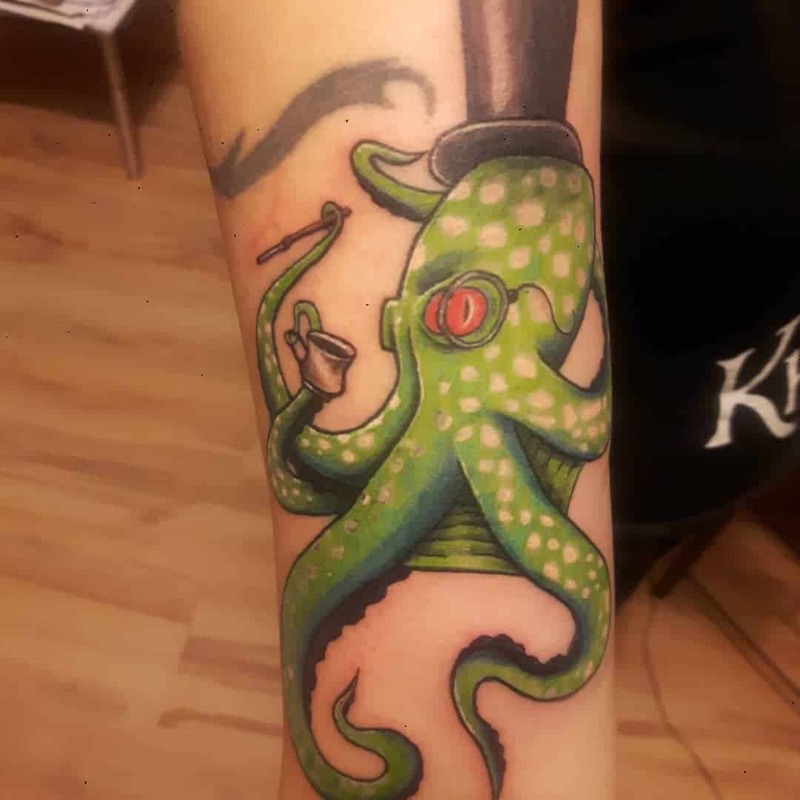 The last thing that you must remember when getting a tattoo, is to never haggle. 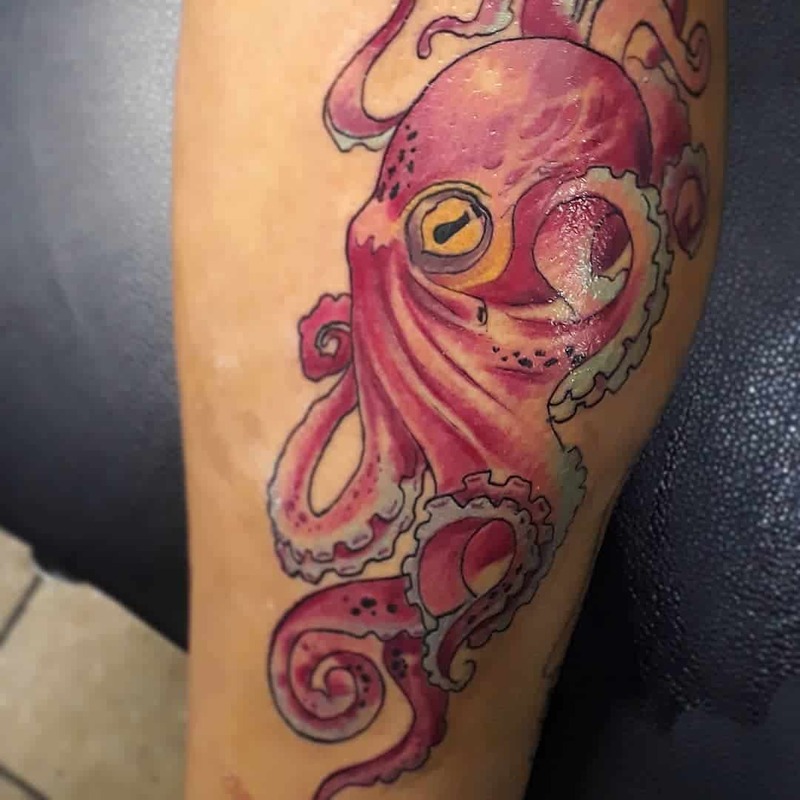 The artist doesn’t put a sticker on your arm when you get a tattoo, there is real work and effort involved, which is why the tattoo community frowns on the act of haggling and some shops charge in advance. 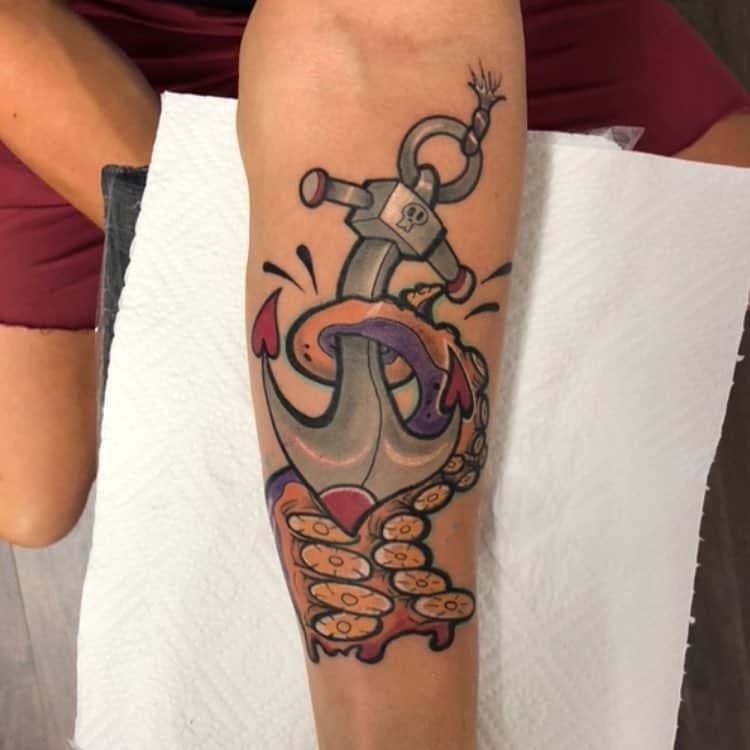 The only thing that is up for debate is the method of payment, most shops charge per hour and some charge for the tattoo itself depending on the aforementioned factors. Check online for reviews about the shop from people who went there. Learn from peoples’ bad experiences and avoid going to that place. 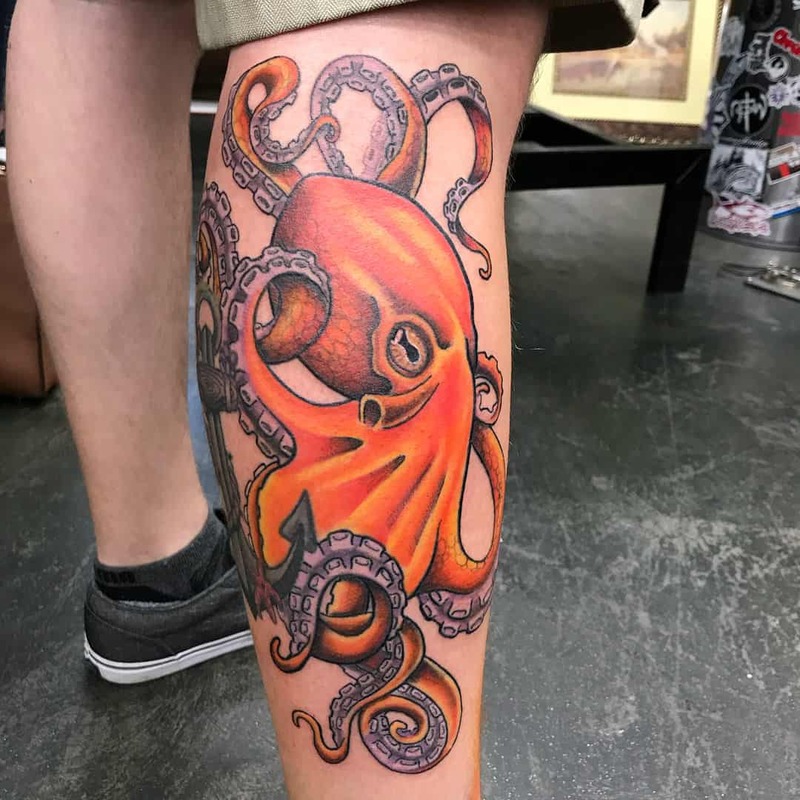 While getting a tattoo, you don’t want to move no matter what happens. 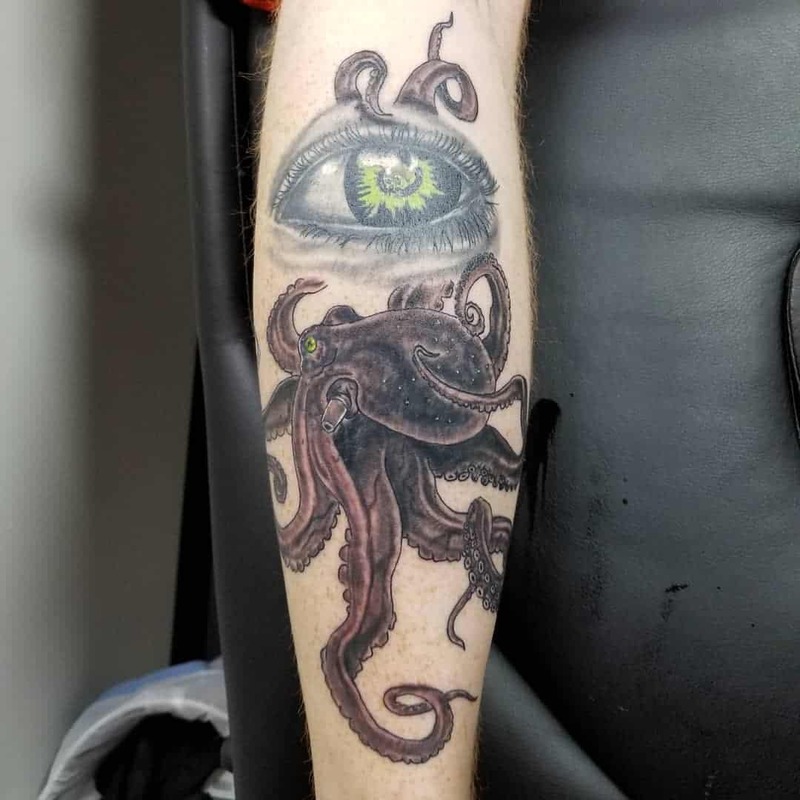 The slightest inconvenience can lead to your artist completely messing up your tattoo. Since, you will be sitting for a long time, its best to wear something comfortable so you can relax on the chair. When you go to a tattoo shop to get a tattoo, you should be prepared in every conceivable way. You should get plenty of sleep and be hydrated during the session. 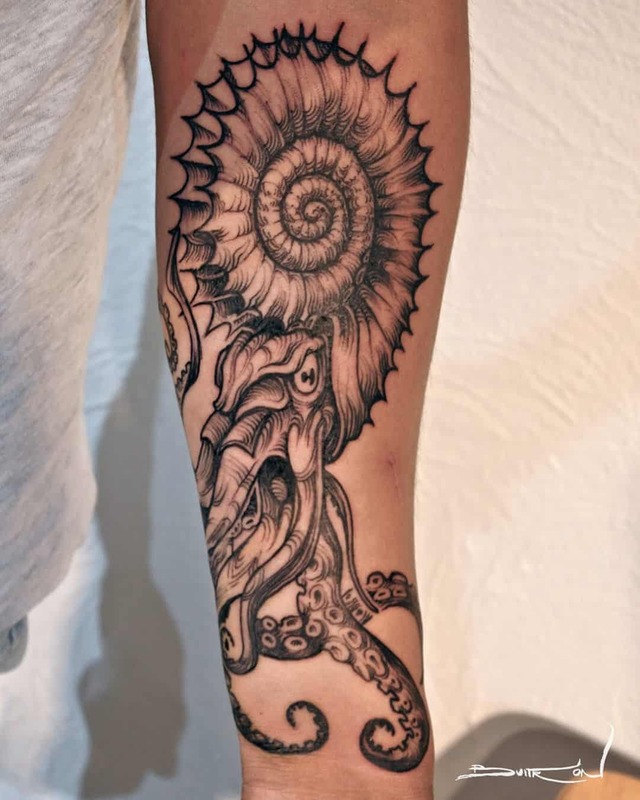 You should also prepare yourself mentally as well because getting a tattoo hurts, a lot. 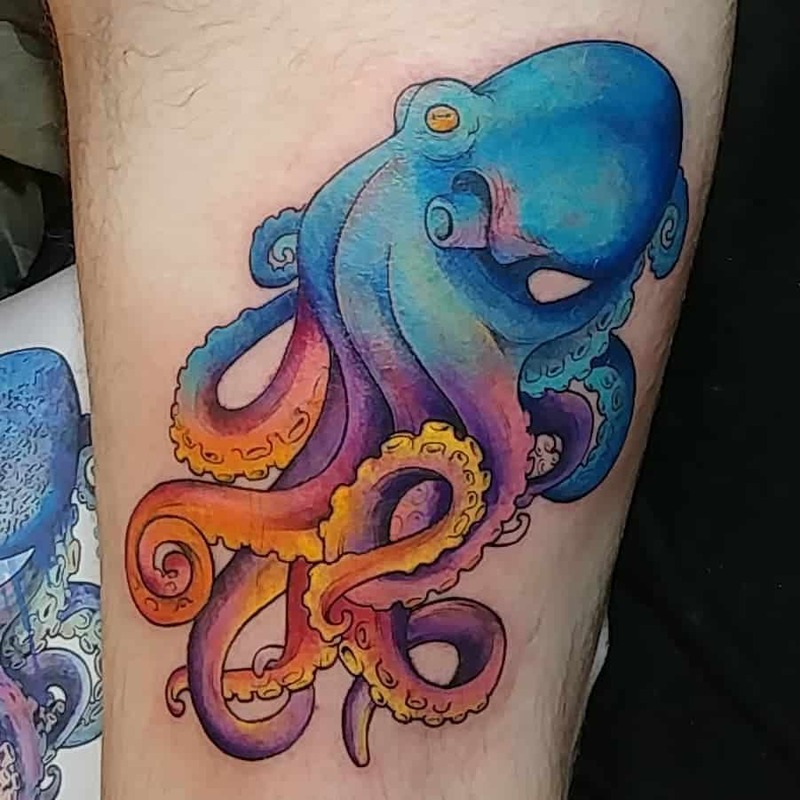 Getting a tattoo is one of the most painful things you will ever experience. With multiple needles piercing the skin at the same time, you should come prepared and take a painkiller. 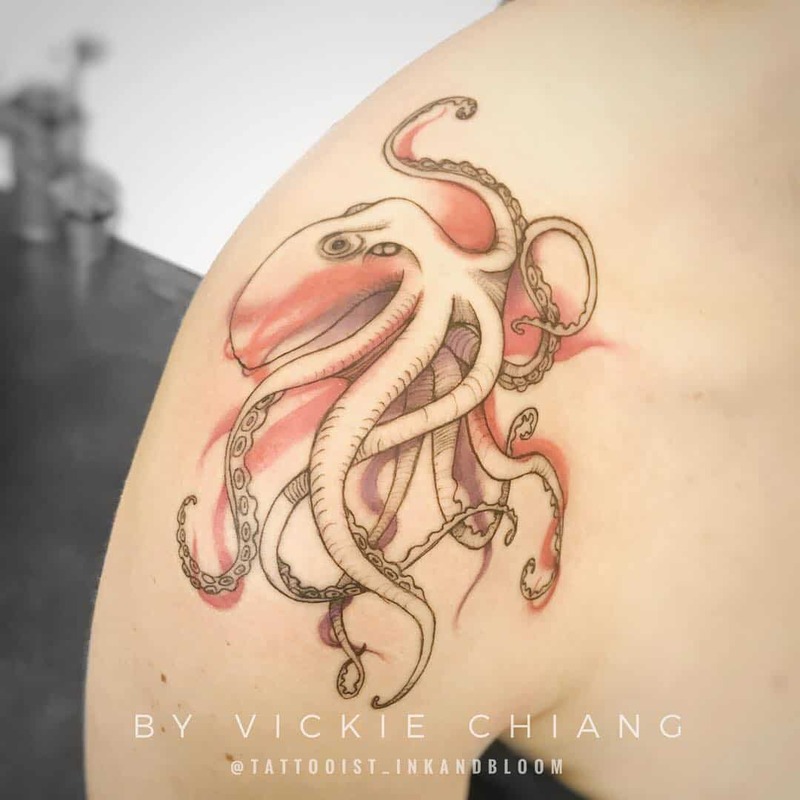 When people say that a tattoo is a big responsibility, it’s not just because a part of your body has a work of art on it, rather that work of art leaves open wounds. Since needles pierce the wearer’s skin multiple times it’s easy to say that wearer bleeds during and after the session. 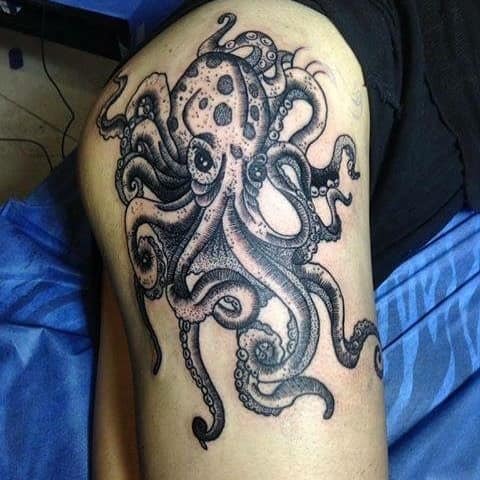 Nevertheless, here are some ways for you to maintain a tattoo. 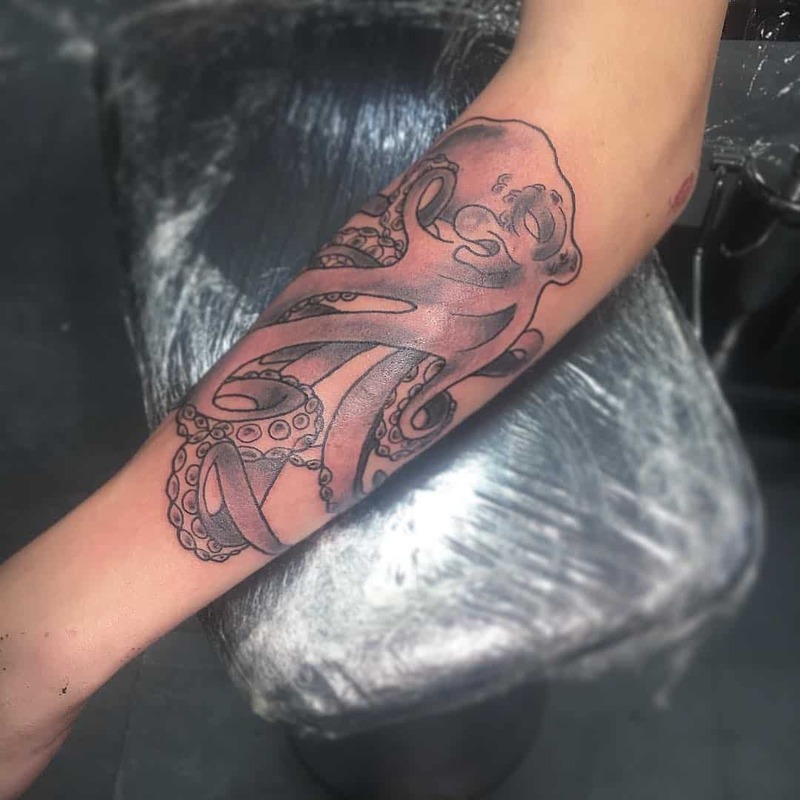 A tattoo is quite a hefty investment and scarring or wounding that part of the body is one of the best ways to throw that investment away. 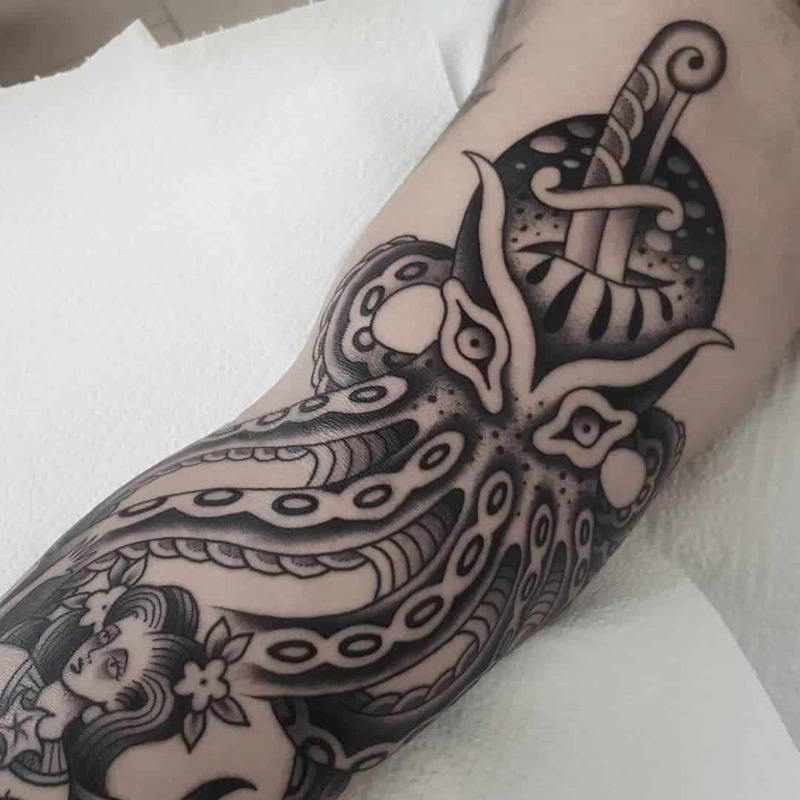 Wear some sort of protective gear around the tattooed area if you work with sharp objects more often. 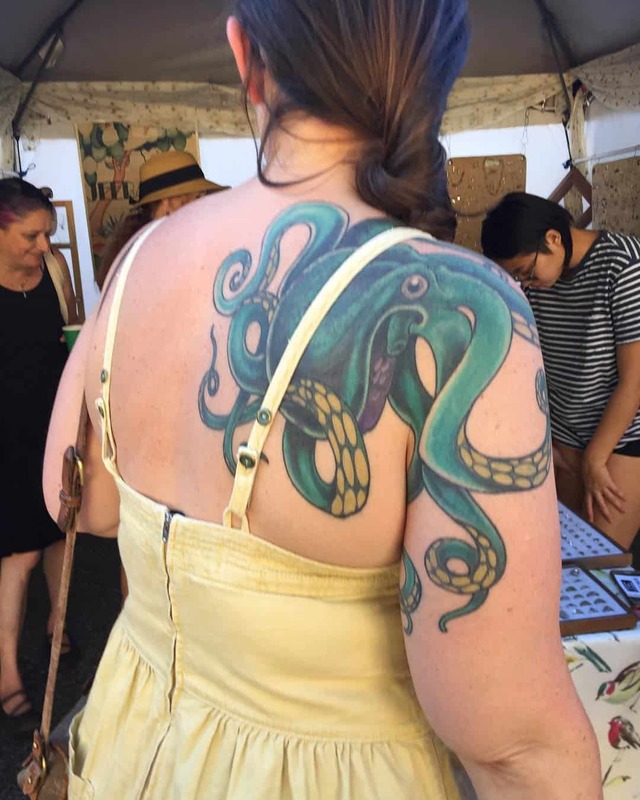 Use insect repellent to keep bugs away so that they don’t bite and infect the tattooed area. The sun is a tattoo’s worst enemy, ask anyone who has even the slightest experience with tattoos and they will tell you the same thing. 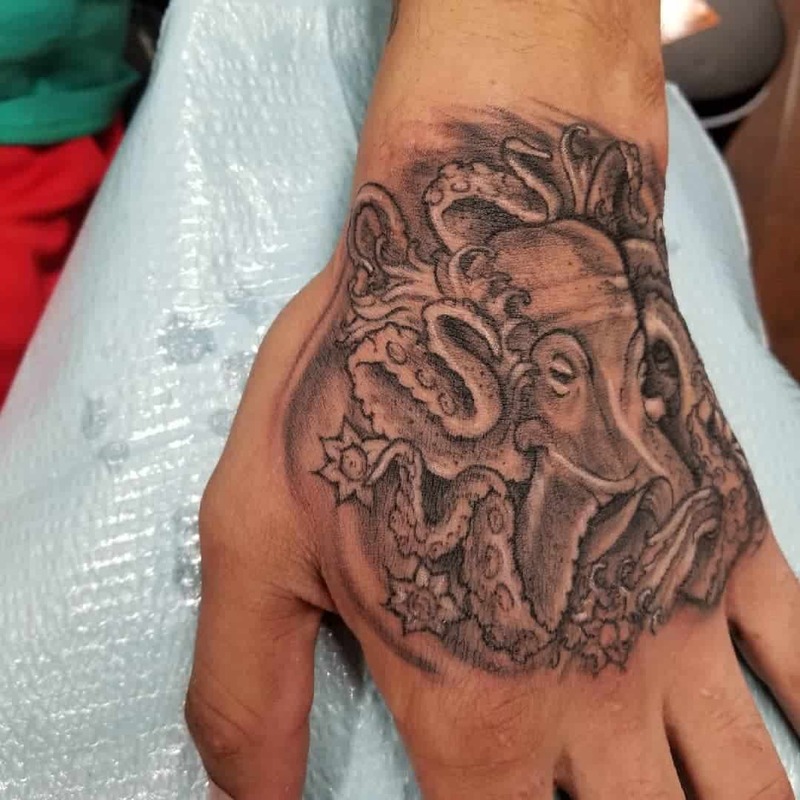 While people who have tattoos on places that most clothes cover, the real problem is for tattoos on places like hands and finger, places that people don’t cover often. 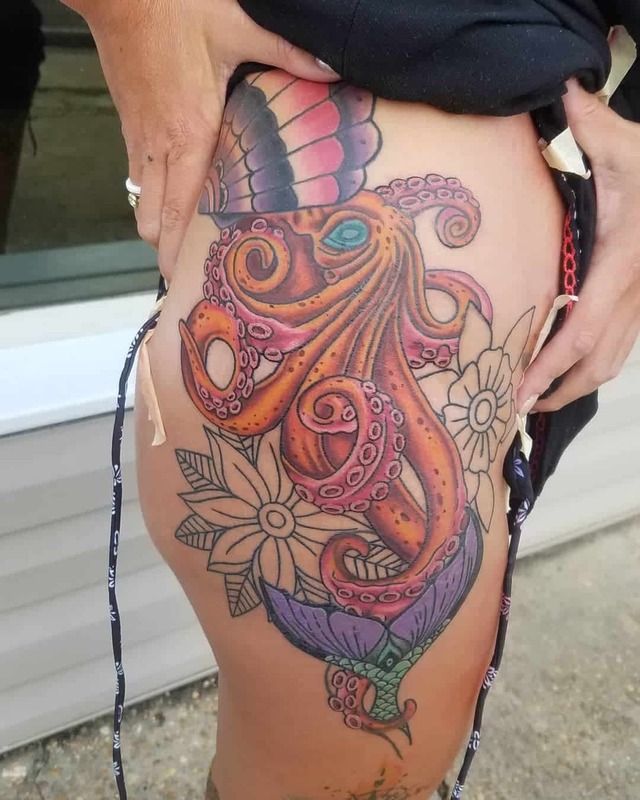 For this purpose, use a sunscreen of SPF of 45 or higher to avoid the tattoo from fading, or simply get a tattoo in the fall. 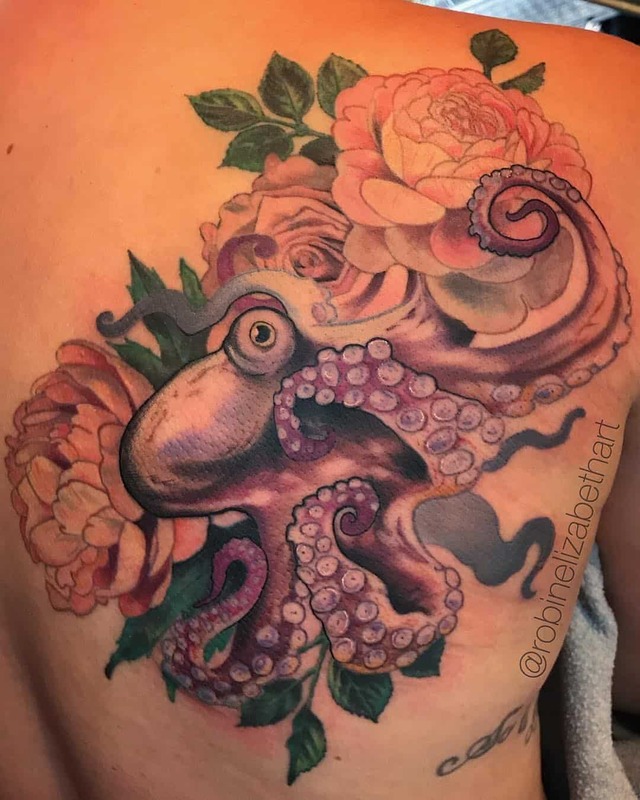 By getting a tattoo in winter you won’t need to worry about excessive heat eroding your skin, and people mostly cover all parts of their body during the spring. 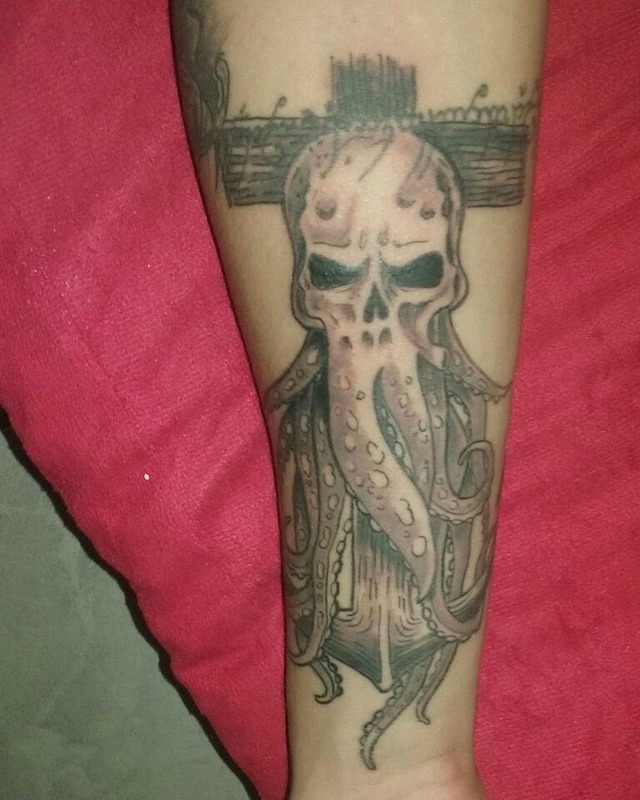 After getting a tattoo, moisturizer is officially your best friend. Due to the changing weather, your skin can start becoming dry. 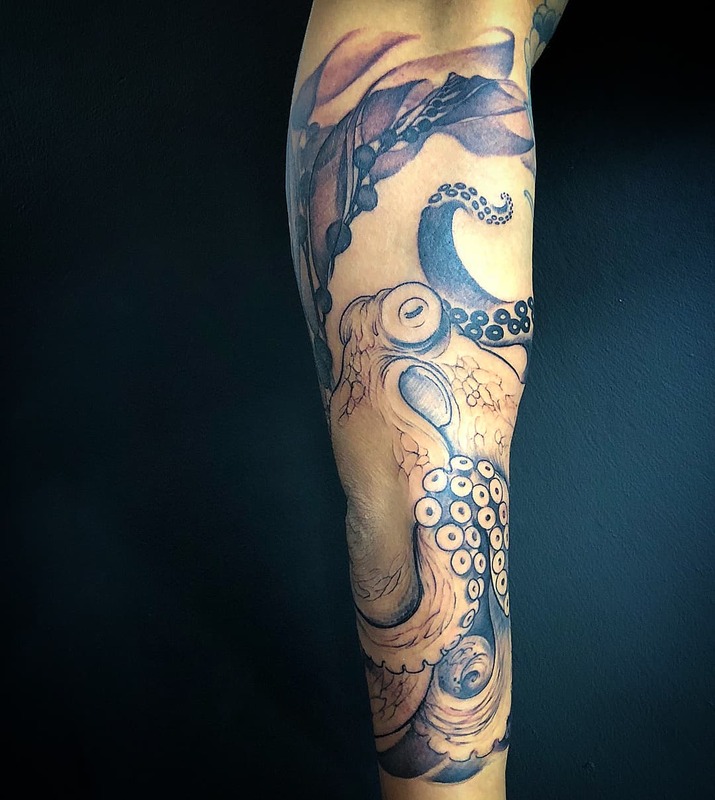 Dry skin can erode the details of the tattoo as well as the outlines, something you can prevent by using a good moisturizer. 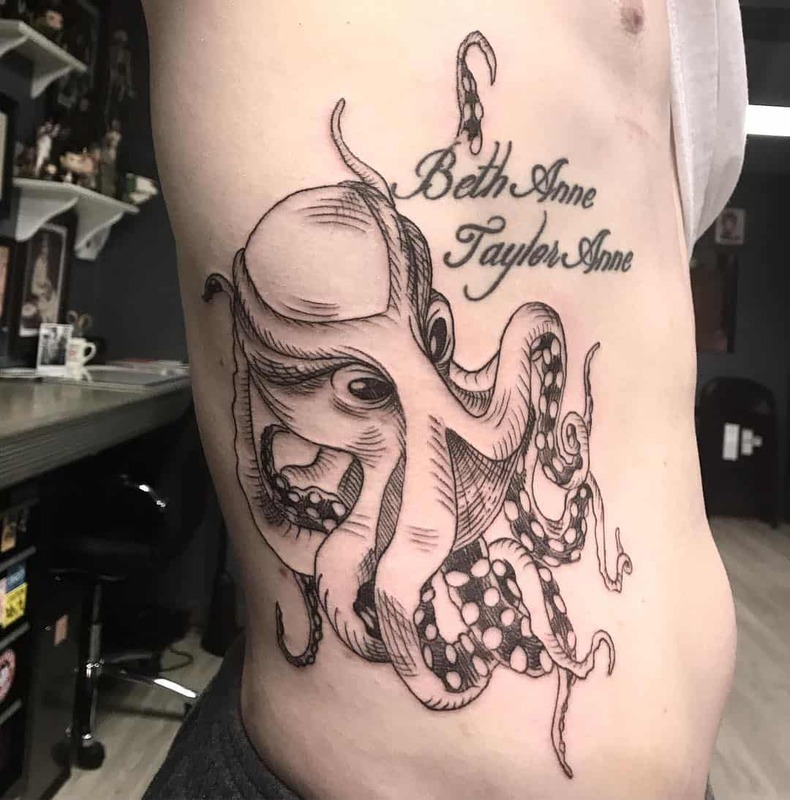 When deciding what tattoo to get, you must always consider what that tattoo means to you. 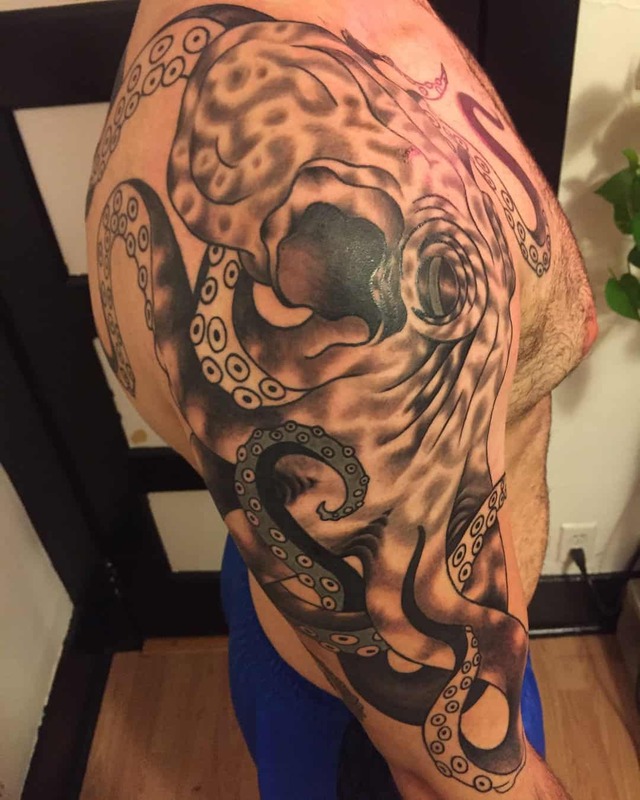 And an octopus is a very good tattoo that holds many symbolic meanings in spiritual, religious and cultural lore. 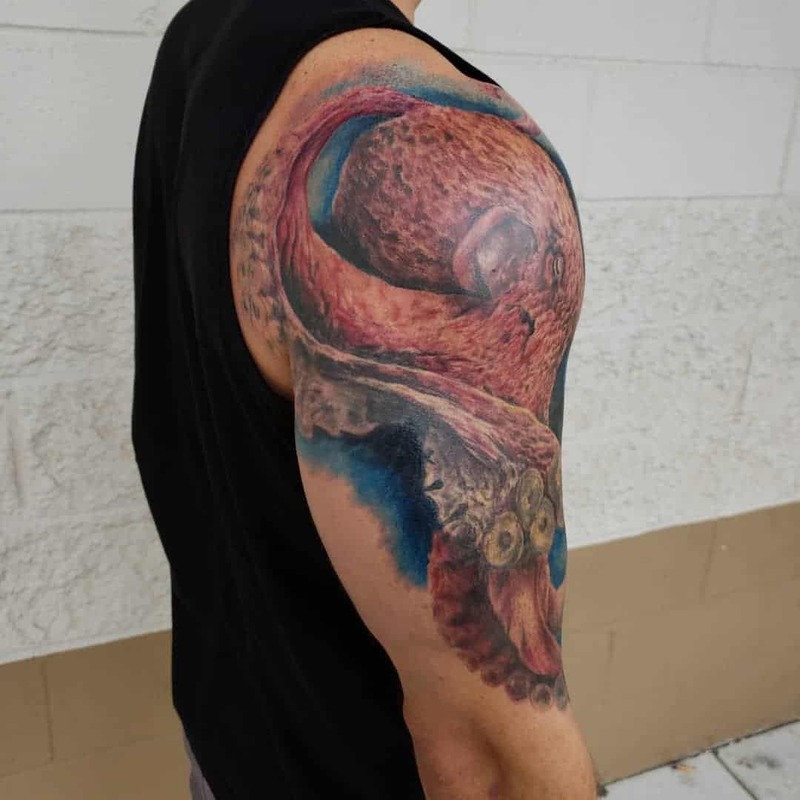 So, for those of you looking for another tattoo to add to the collection, an octopus tattoo is the way to go.